A portrait of a Holstein cow on a farm in Maryland against a sunny blue sky. There are over 9 million dairy cows in the U.S., and approximately 90% of them are of Holstein descent. From "Maryland's Vanishing Lives", John Hopkins University Press. 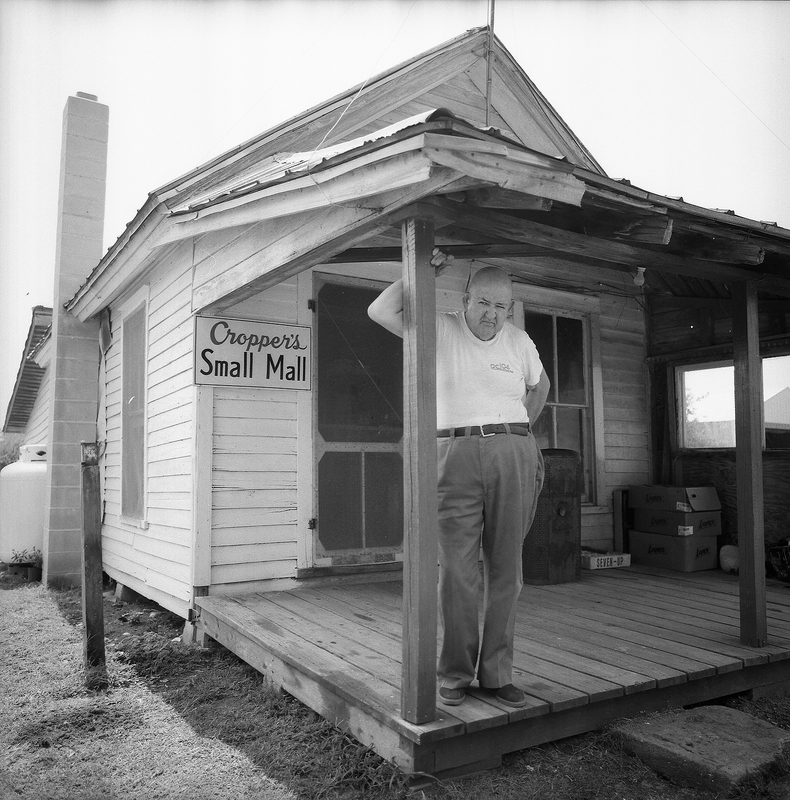 Portraits of disappearing ways of life and work in Maryland. 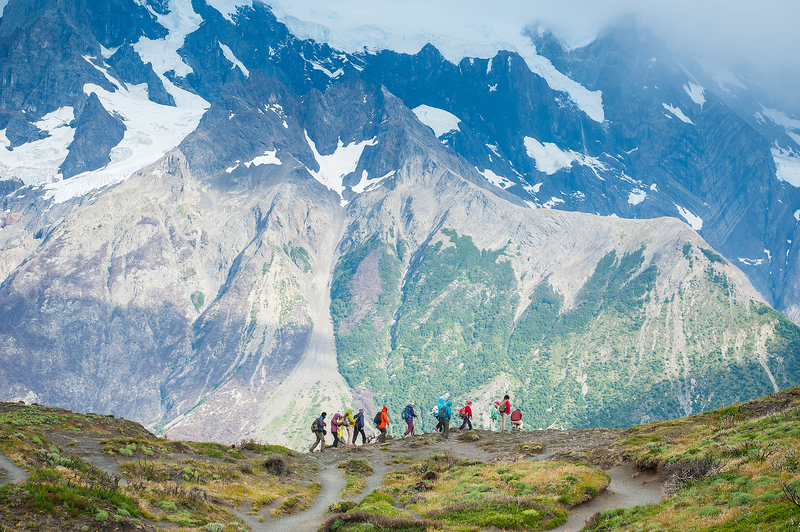 Hikers walk the crest of a ridge near Torres del Paine, Chile. There are six national parks located in Patagonia, each with their own unique charms. 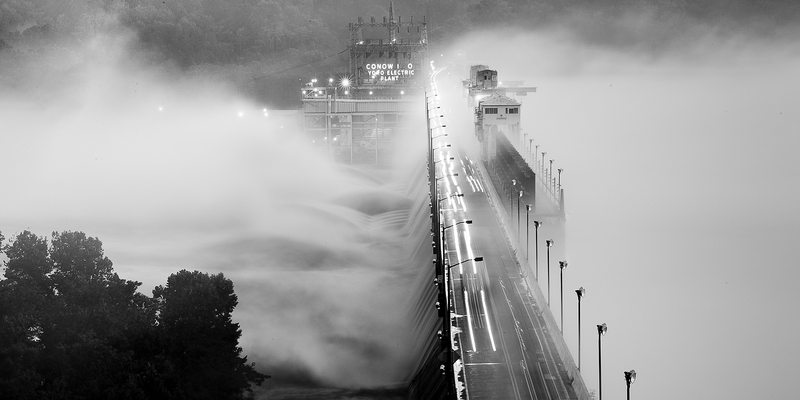 A black and white photos of a foggy night over the Conowingo Dam Bridge in Maryland. Conowingo Dam is a hydroelectric dam that has been trapping sediment from the Susquehanna River, blocking fish passage, and affecting the water quality of the Chesapeake Bay since it was built in 1928. 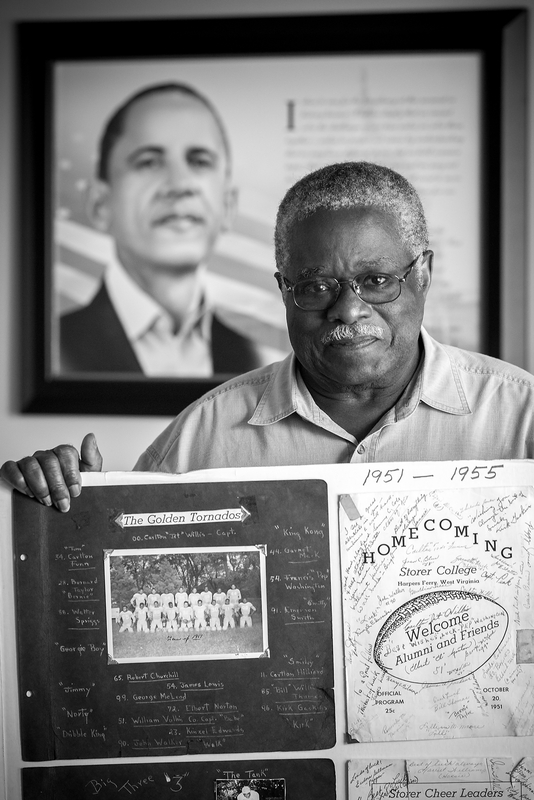 During years working as a photojournalist for the Baltimore Sun and Associated Press, I accumulated a large body of work documenting people and events. These images represent single moments within larger photo essays commenting on the human condition. The nature of the work itself, to me, was a living documentation of what the day to day can become or be perceived as in the public's eye. I felt I was retelling unseen human experiences that would otherwise be hidden or forgotten and making them known or understood, or more simply, remembered. This was a formative moment in my career that has embedded itself in the mindset behind all of my images. 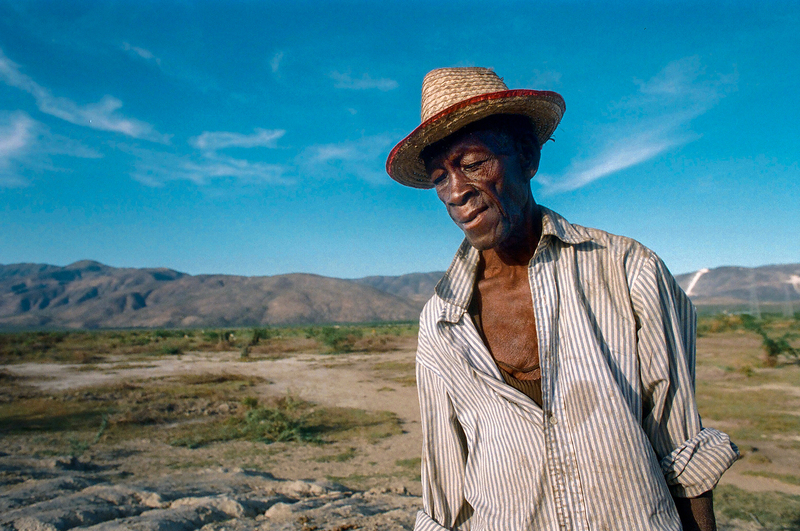 A magazine photo essay about ecological devastation in Haiti and the people it affects. 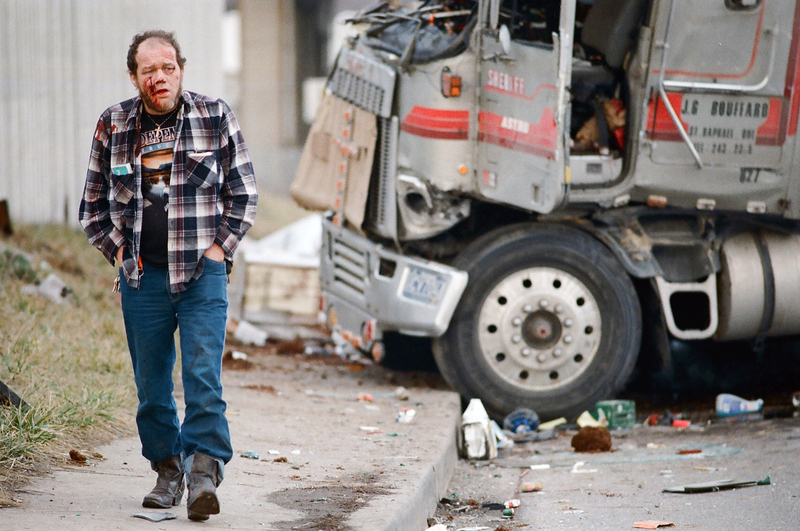 A dazed and bleeding long haul trucker stumbles away from the wreckage of his rig after rolling off of the I-95 overpass in Baltimore. 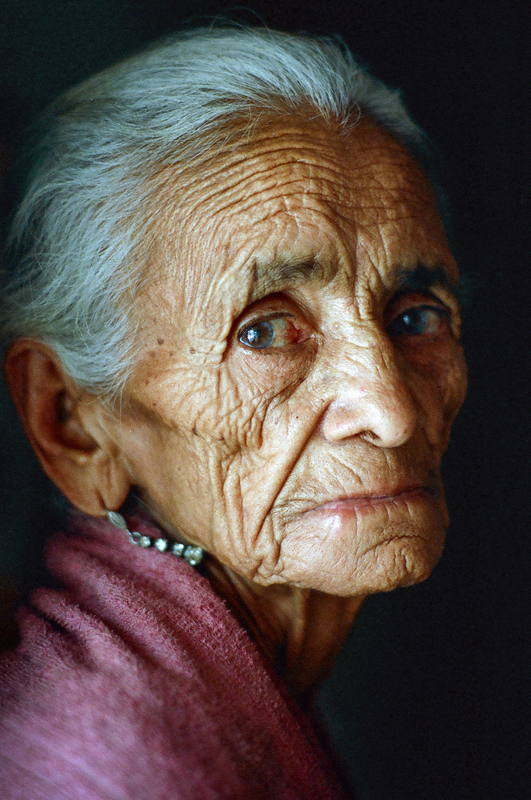 Portrait of an elderly woman in El Salvador following the 1987 Earthquake that destroyed many poor barrios and left hundreds homeless in San Salvador. 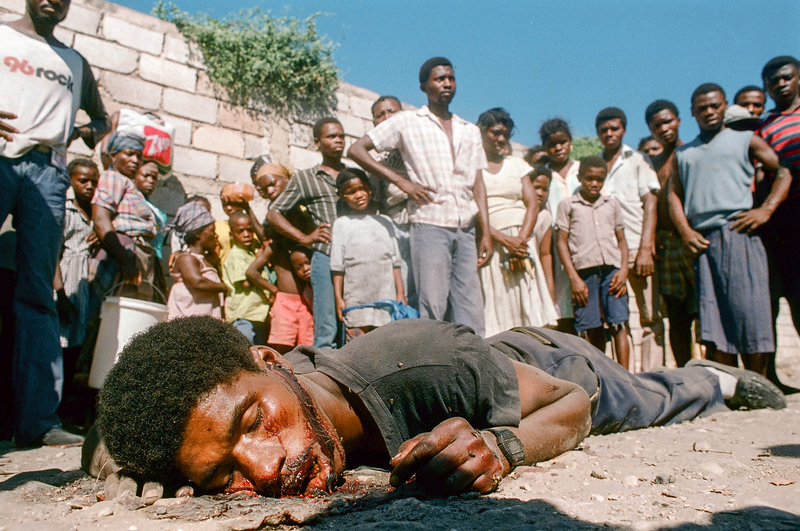 Killings during the chaos following the fall of Baby Doc in Haiti and the struggle for democracy during the country's first attempt at elections. 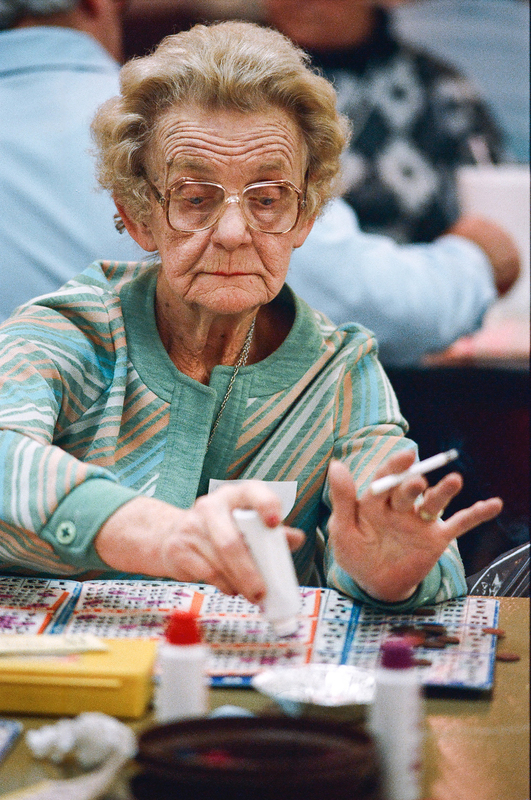 From a photo essay on the ladies of Glen Burnie Maryland and their obsession with bingo games. 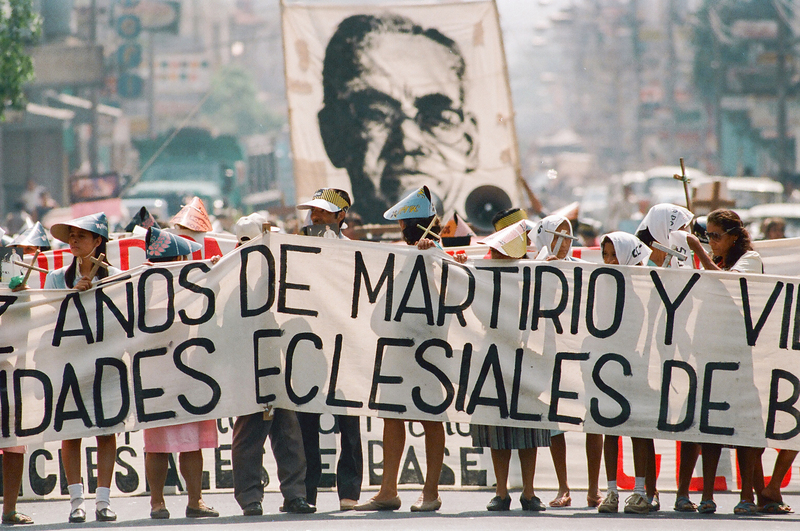 During the height of the civil war in El Salvador, demonstrators march through the streets of San Salvador to mark the anniversary of the murder of Archbishop Oscar Romero. 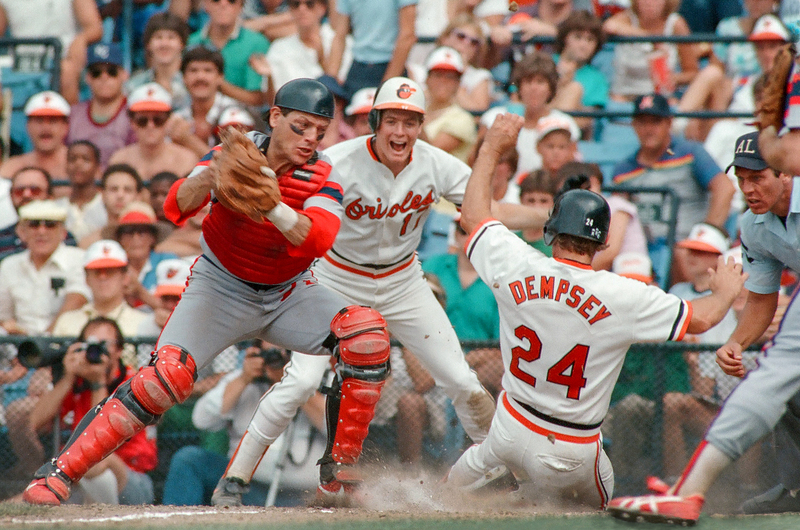 Runner Rick Dempsey beats the catcher to the plate to score a run during a Baltimore Orioles game against the Chicago White Sox. 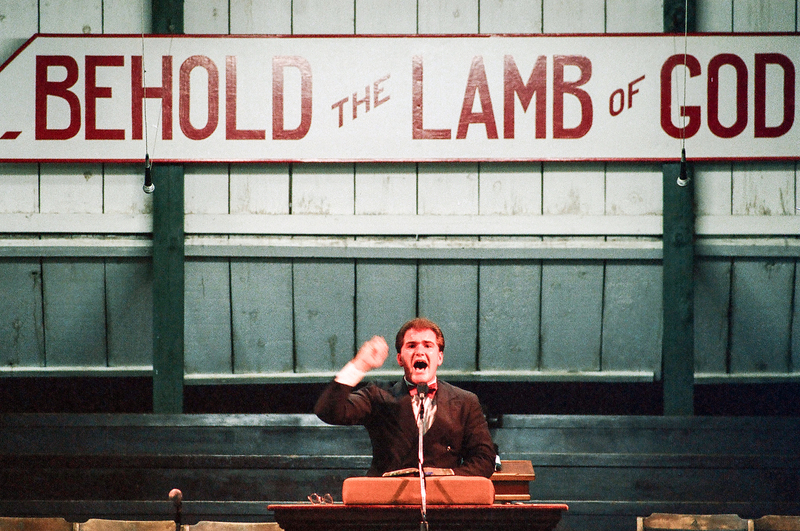 Evangelical minster at work during an outdoor revival gathering in Cecil County, Maryland. Part of a summer long magazine feature on old time religion in the state. Documenting and commenting on the secret behaviors and events of the Klu Klux Klan became a long and committing project. Based out of Maryland, the group had begun to appear in the news, their renewed presence being commented on among media outlets. 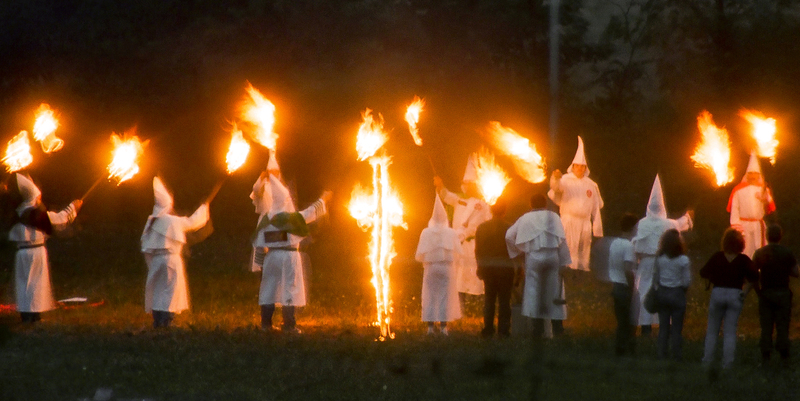 This secret cross burning took place in the back woods of Thurmont, Maryland. The first images in this body of work were taken while hiding from the group, as they did not wish to be documented. When the initial image was released, the group reached out and requested my presence at various events. Sometimes the addition of movement or audio could make a piece stronger or tell the story from a more honest perspective. I believe that hearing from the voice of the subject themselves often carries a message with more weight than an image telling a story with a single, silent moment. Being able to offer stories as the person sees them or wishes to share them is an important part of the job. By using multimedia platforms, we are able to share entirely first person accounts. The first person account becomes a portrait that shows the viewer what lies beneath the surface. 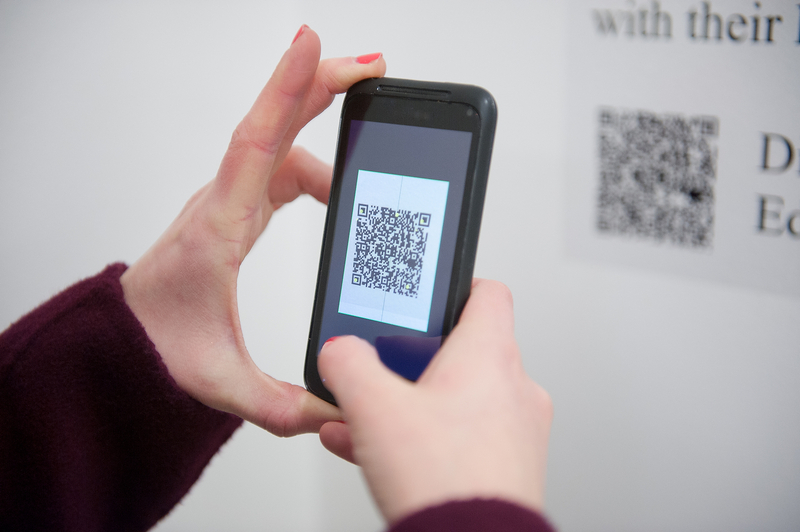 Adding more to the exhibit by using QR codes to enter a virtual reality. 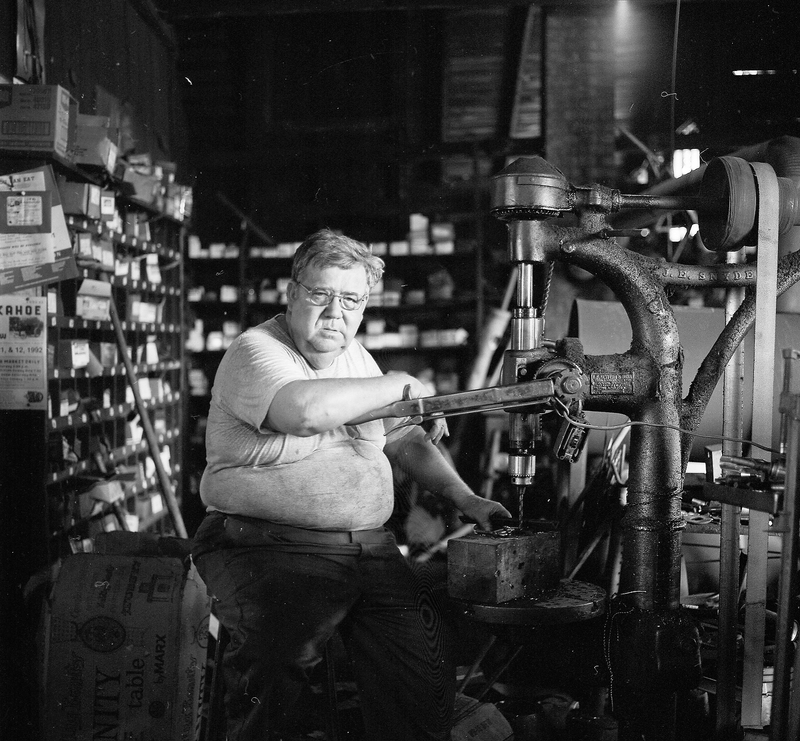 This is multimedia piece about a man who makes arabber wagons in Maryland. He talks about how sometimes you have to use your memories to make up the pictures. This is a multimedia piece on a watermelon farm in Maryland. Without the sound of the farmer talking about his operation, the photos are not able to come to life. 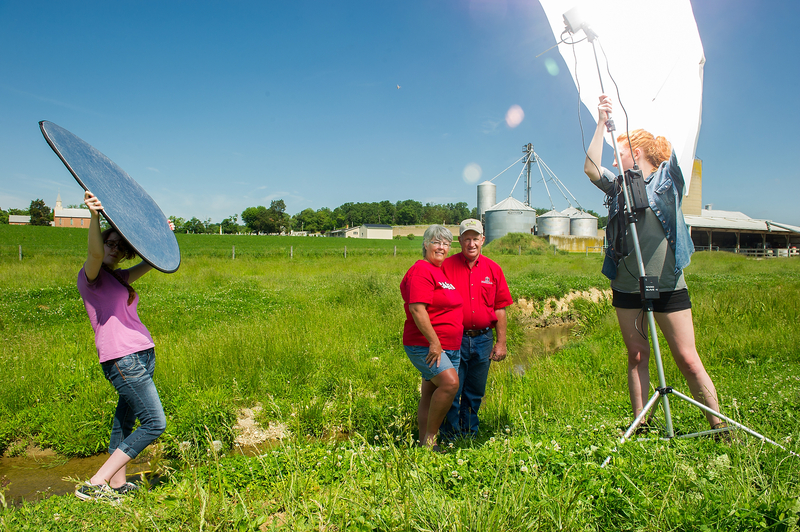 Photo assistants using artificial lighting to recreate the look of sunlight for a portrait on a farm in Maryland. This multimedia piece is an slideshow of photos of Distillery Lane Cider Works along with an interview with its owner. The owner of the distillery talks about how he got started in the cider business and why he is so passionate about it. 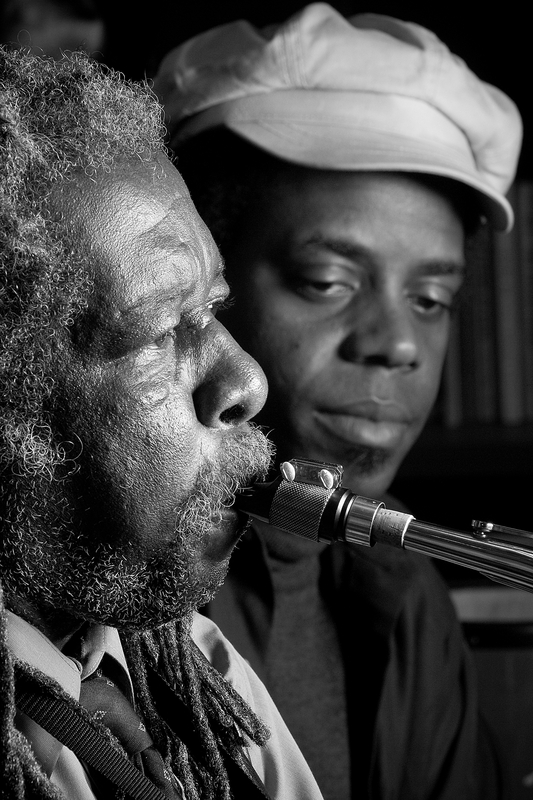 The combination of the photos along with his voice engages the audience and makes the photos more personal. Partnering with writers such as Kady Dulny to share stories with words and pictures. This multimedia piece uses music and sound along with photos to better engage the audience. The combination of the still photos along with music gives the viewer the feeling of watching a live performance. Documentation about the Maryland Traditions Folklife Program. 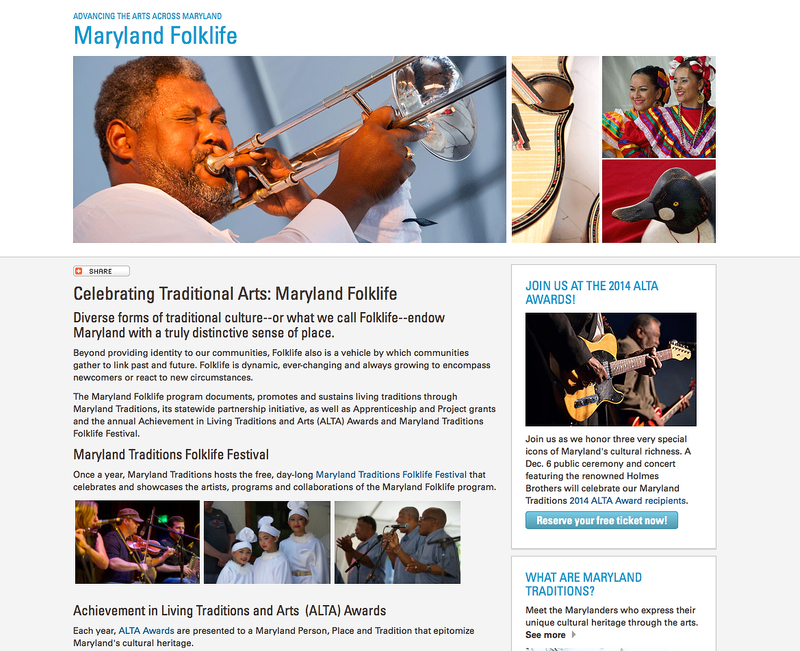 Maryland Traditions is the folklife program of the Maryland State Arts Council. I work with a team of folklorists, spread across the state, working together to document, celebrate, and sustain traditional arts and culture. 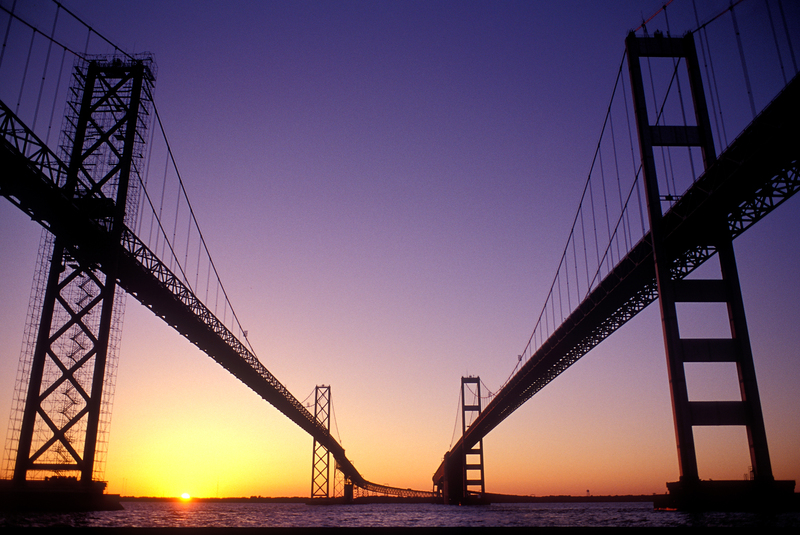 This is a multimedia piece from the Maryland Traditions Folklife Program. This piece is about the famous cakes made on Smith Island in Maryland. The photos show the process of making these cakes and how the family has worked together to make a delicious treat that many people come to Maryland to buy and eat. So much of the work that I do is wound up in a community that I can find a sense of home or familiarity in. In my life I have been able to travel and document people and places with fresh eyes, and on in these travels I try to bring my sense of intimacy and familiarity onto a much more global platform. I am attempting to make what is personal universal because, as I have come to understand it, success often comes from that ability to translate personal vision onto a much larger canvas. Coming back from a trip allows me to examine my roots a bit deeper, and understand further why I do what it is that I do. By experiencing other places the most ordinary of details that are often overlooked by someone too at home in a place can reemerge as the unique traits and exceptional qualities that make it what it is. Getting the opportunity to step back and come back to a place with fresh eyes keeps my work honest and clear. 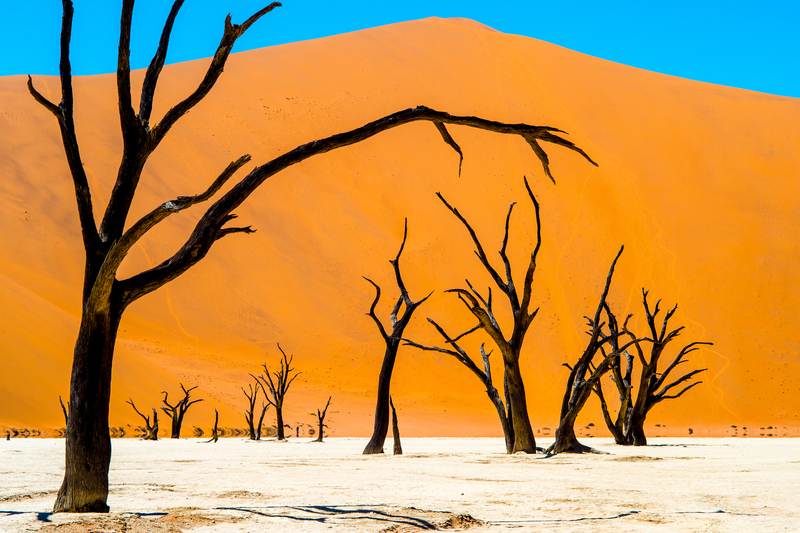 900 year old camel thorn trees dot the dry pan in the middle of the Namib dunes. 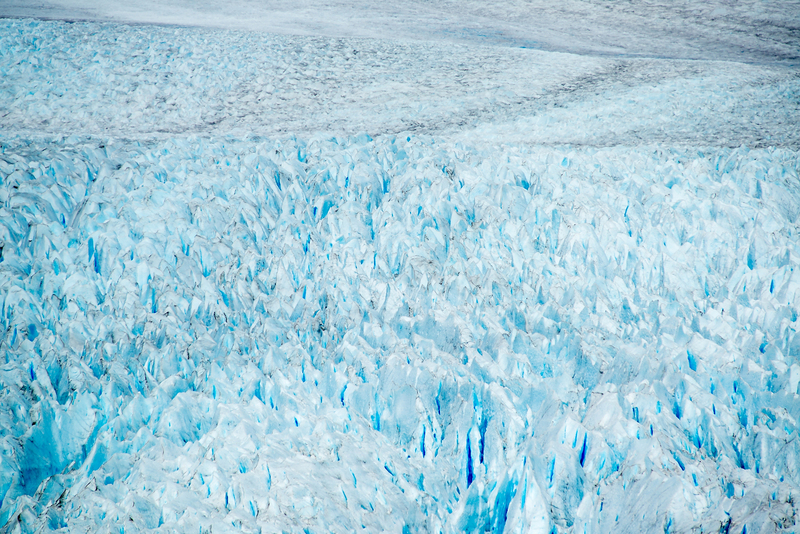 Twisting glaciers of the great southern ice field in Patagonia. It is the world's second largest contiguous extrapolar ice field. 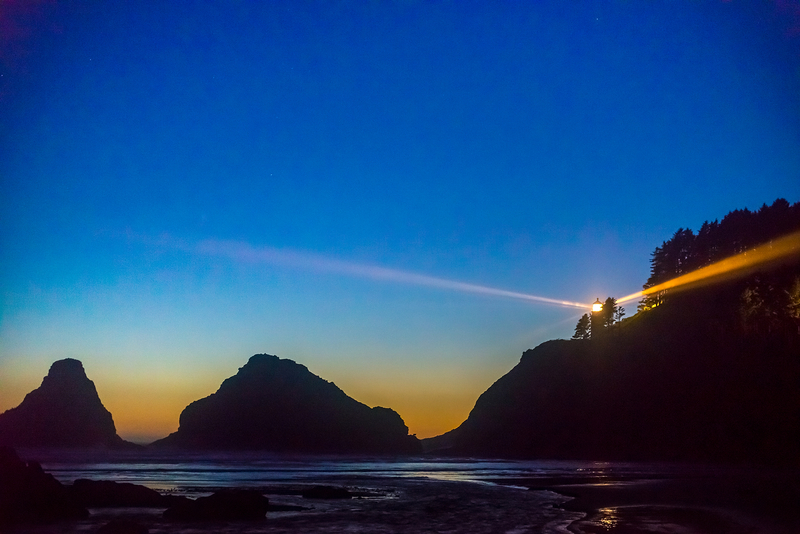 The Heceta Head light protects the Oregon coast at sunset. This lighthouse shines a beam visible for 21 nautical miles. The unforgiving coast of Maine. 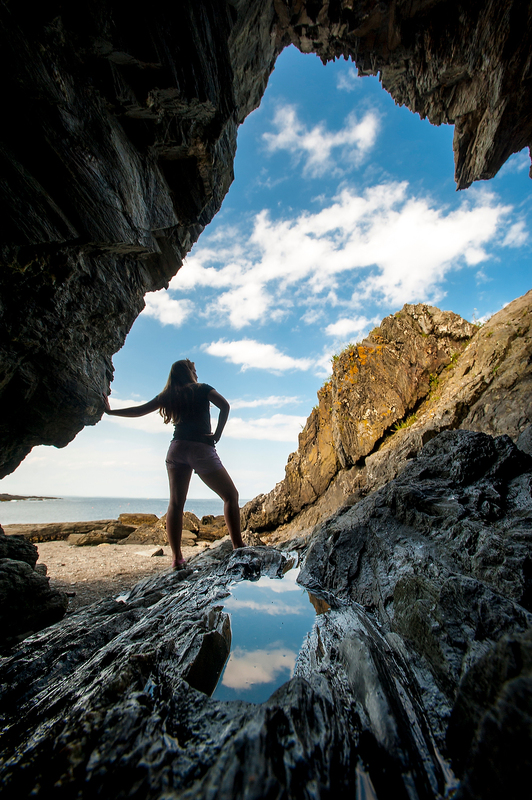 Maine has 3,478 miles of coastline - more than California (3,427), and over 5,000 miles of coast if you include all of the islands as well. 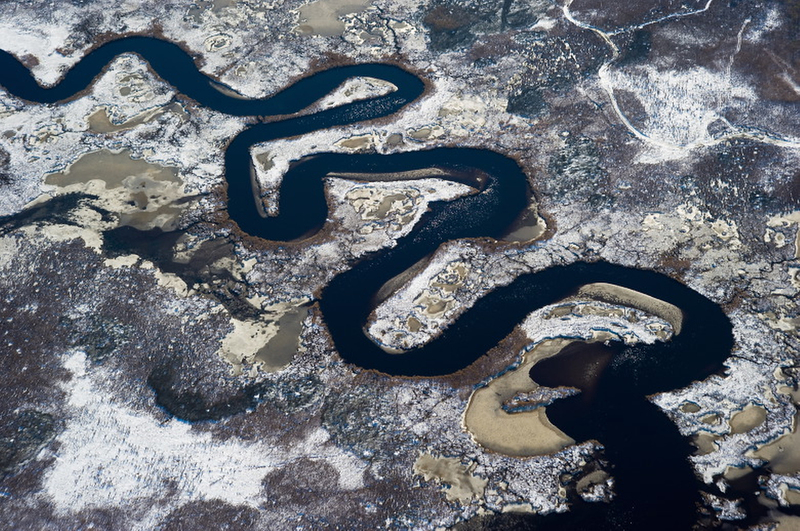 Glacial melt feeds a river near Portage Alaska. 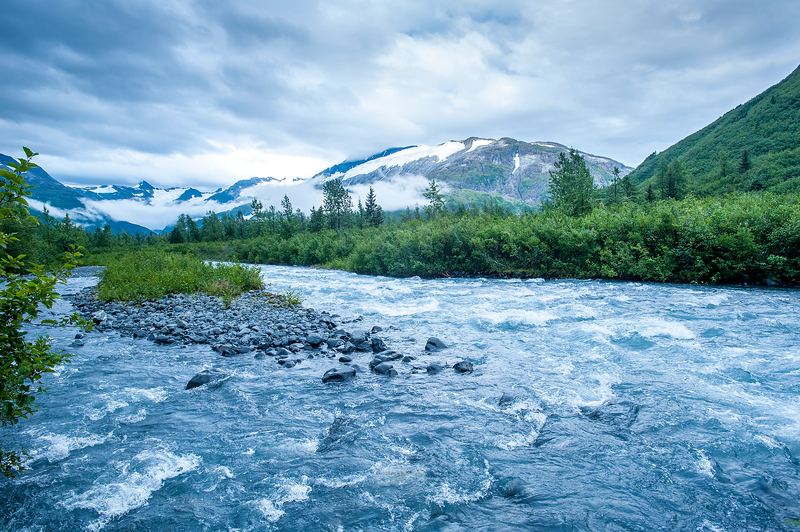 If all land ice melted, the sea level would rise approximately 70 meters (230 feet) worldwide. 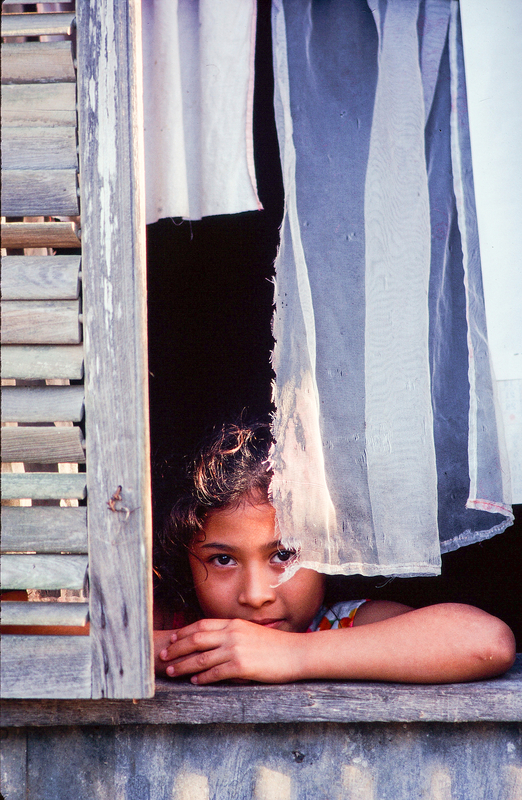 Young girl peering through a window in Belize. Belize is the only Central American country where English is the official language. Final few miles of the 2160-mile footpath as it climbs up Mt. Katahdin in Maine. 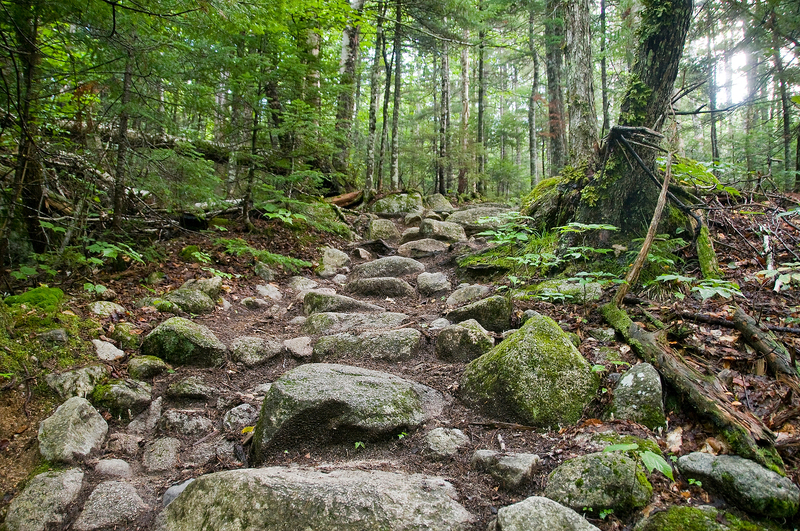 Less than 15,000 people have completed a successful thru-hike of the Appalachian Trail. 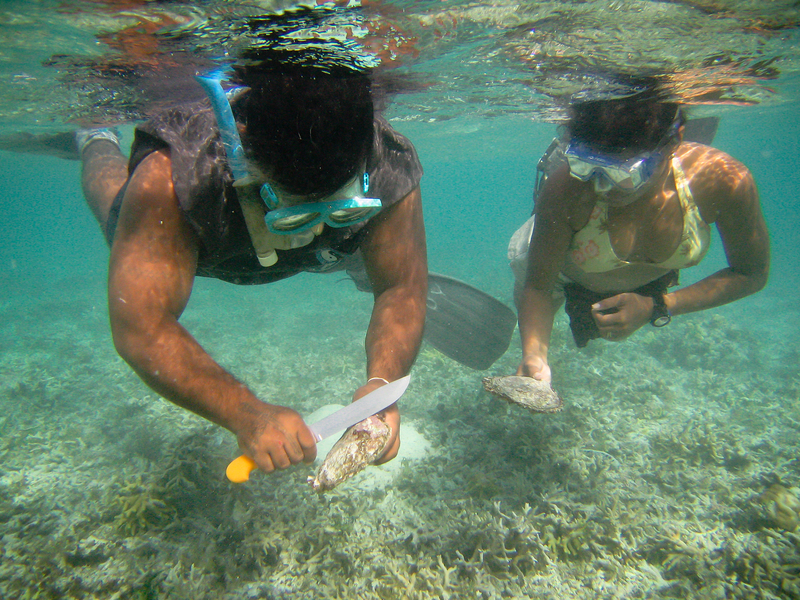 Divers search for black lipped pearl oysters in the reef surrounding the island of Pohnpei in the Pacific Ocean. Cultured Black-lipped Oyster pearls are sold today as Tahitian cultured pearls. 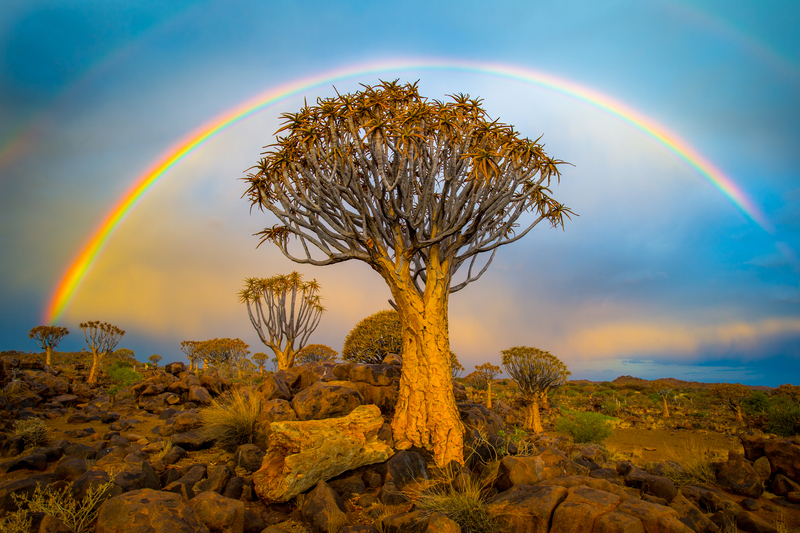 Rainbow over a quiver tree plant in Namibia Africa. My goal here is to create a body of images that can articulate what a place is, to give it a visual vocabulary to identify itself with. Documentation comes with the craft; if I push the button, I have documented something. The struggle here is in finding the right places and the right moments that not only document, but help to define a place. What stands out, and what is unique- what could possibly allow a stranger to have a better grasp on the heart and nature of a place. I wish to focus on and celebrate the iconography that allows people to put the pieces together for themselves. 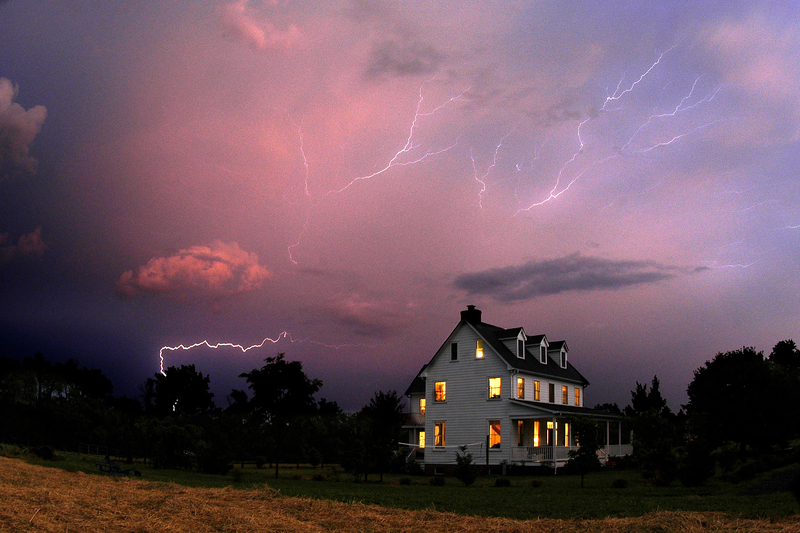 Lighting bolts lighting up a pink sky over a farm house in Maryland. There are bolts of lightning striking somewhere on Earth every second. 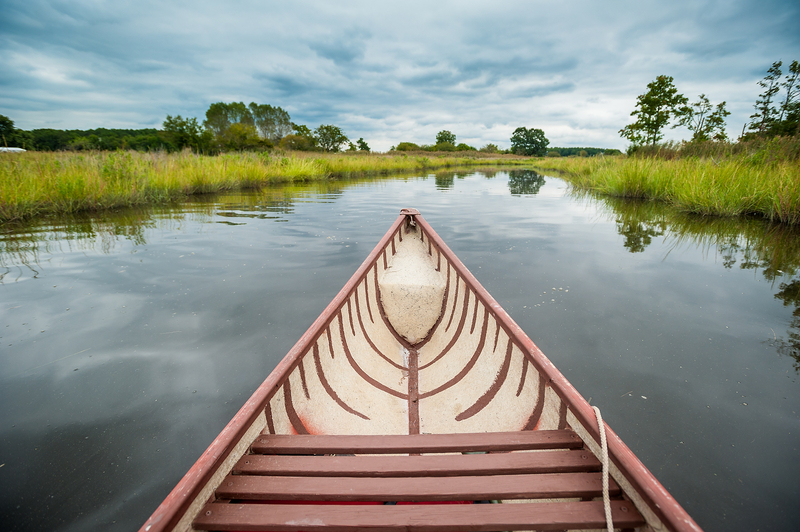 A canoe on the water of Maryland's Eastern Shore. 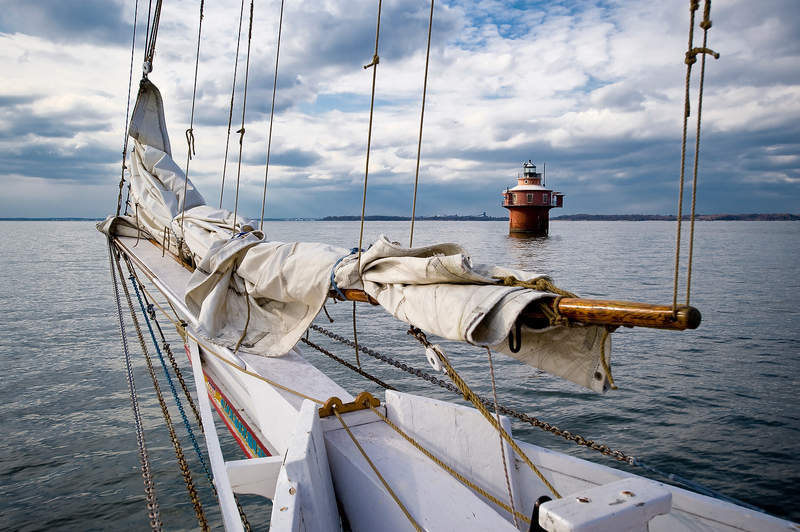 A skipjack sailing on the Chesapeake Bay in Maryland. It is the type of sailboat which succeeded the bugeye as the chief oystering boat on the bay. The Star Gazer's Stone at the Mason Dixon Line. 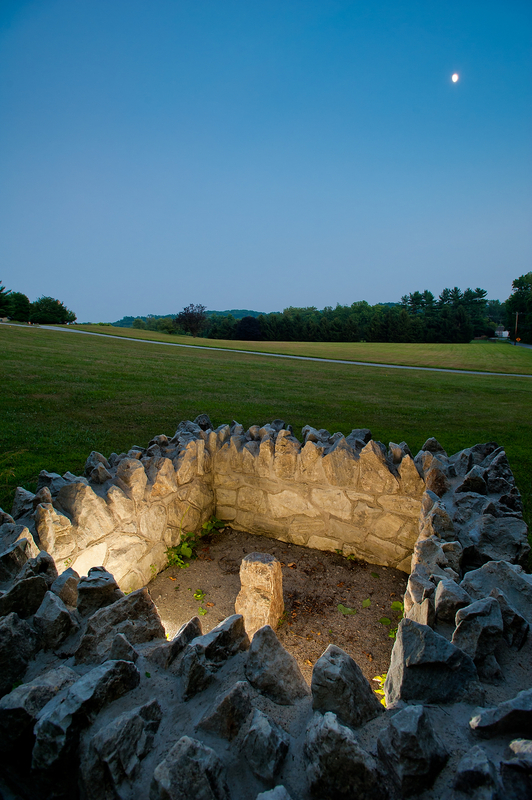 The Mason Dixon Line is the boundary between Maryland and Pennsylvania, and the Star Gazer's Stone marks the spot from which the line's architects made their measurements. 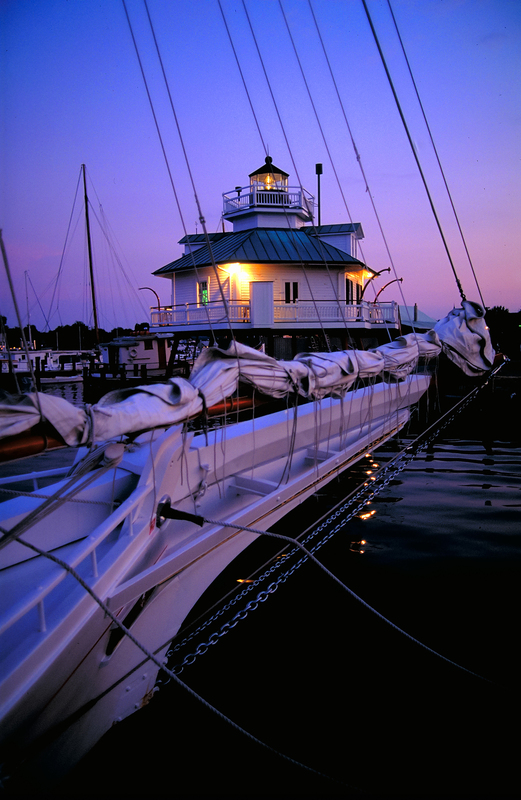 Silhouette of the Concord Point Lighthouse at sunset in Havre de Grace, Maryland. 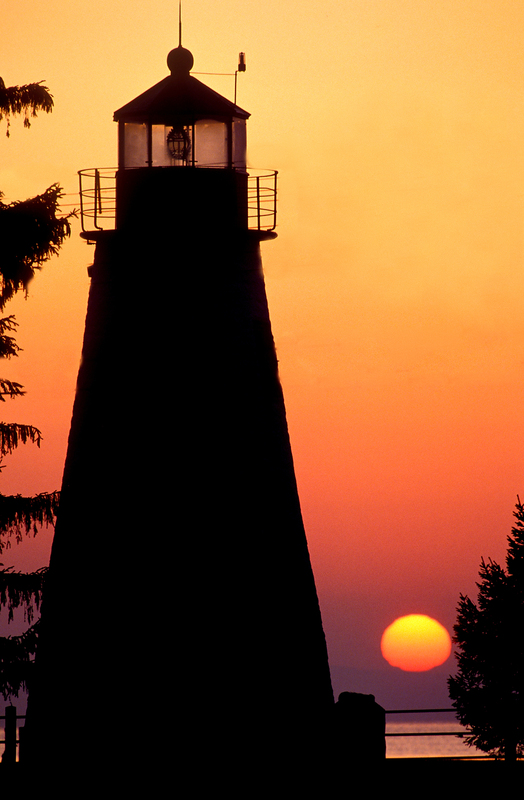 The United States is home to more lighthouses than any other country. 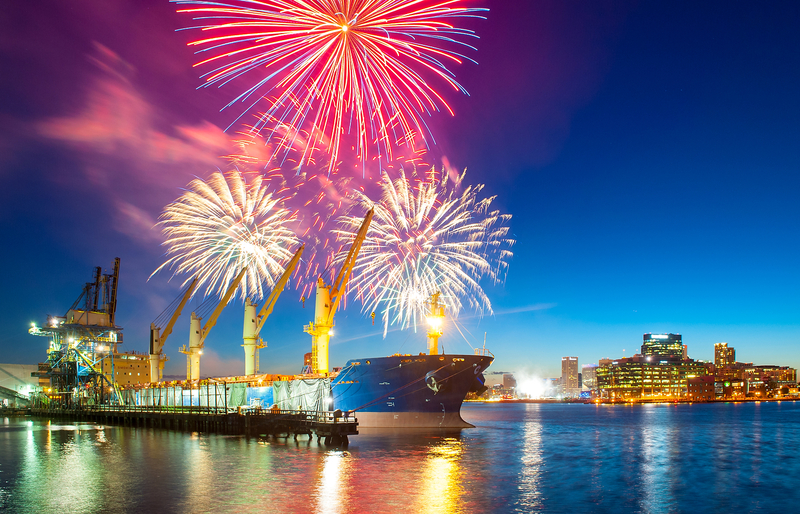 Fireworks on the 4th of July over the Inner Harbor in Baltimore, MD. Italian merchant and traveller Marco Polo is believed to have brought fireworks from China to Europe around the year 1295, starting the global spread of the sparkling invention. The camera can exist as the ultimate audience by reflecting a person back to themselves and displaying what makes them unique in this world. In this respect I often think back to what a mentor used to say about a portrait photographer's true job: to give people their dignity. I have given weight to appropriately representing who these people are within their communities, and how they have helped to form the culture they are a part of. To use the camera as both a mirror and a window into the lives and worlds of others is a way to look at this craft philanthropically. This body of work allows me to give back and truly focus on celebrating people and the human landscapes that they have created. In the process, it is my hope that I can offer some perspective into our culture. 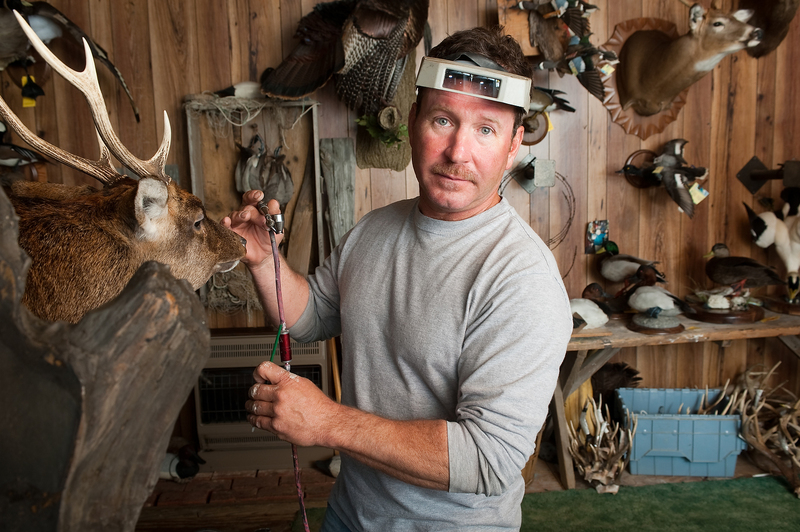 A taxidermist practices the traditional art of trophy mounting for hunters in Dorchester County, MD. The largest mammal ever mounted for a museum is the male African bush elephant, which made its public debut in the rotunda of the Washington, D.C. Smithsonian Museum of Natural History in 1959. The hide alone weighed two tons, and it took the museum’s taxidermists 16 months to re-create the animal. 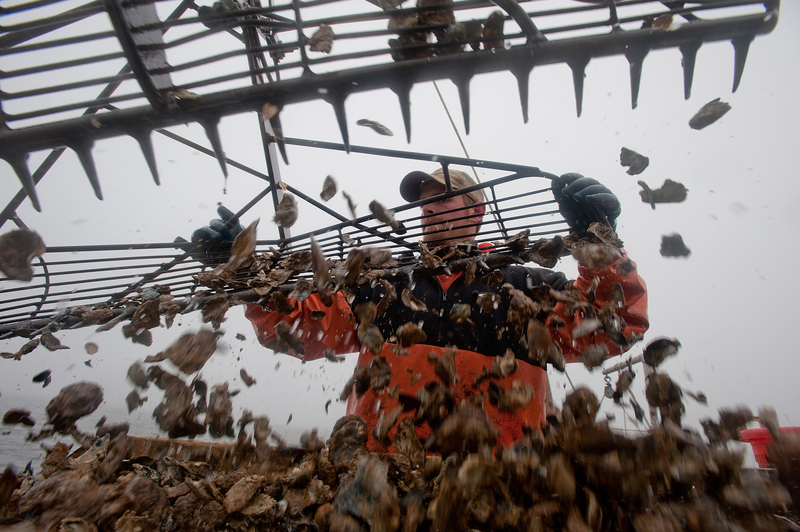 A fisherman holding an oyster cage on a boat in Maryland. Each oyster filters about 30 to 50 gallons of water a day. 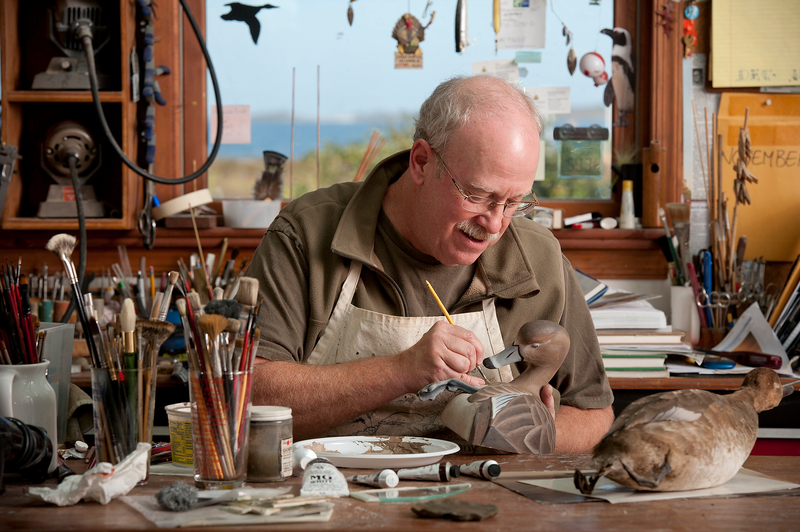 A man carving wooden duck decoys. These decoys are used for hunting ducks and other waterfowl. 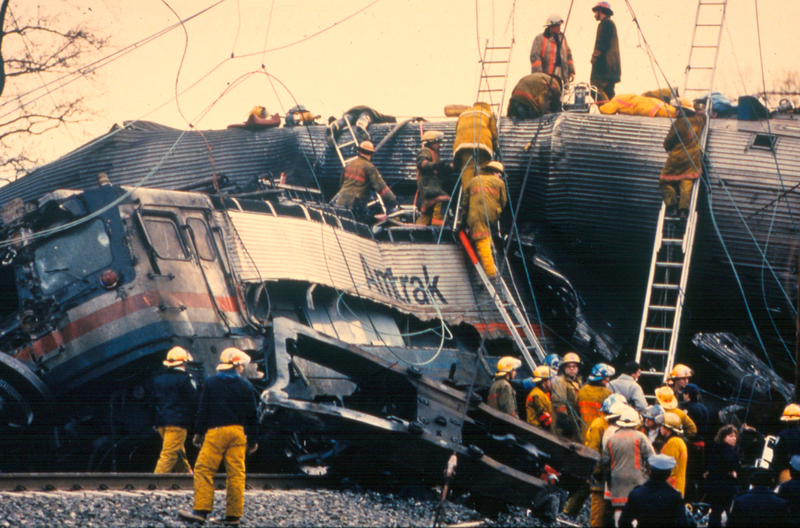 A man sitting on the remains of a yellow truck, crushed in a demolition derby. 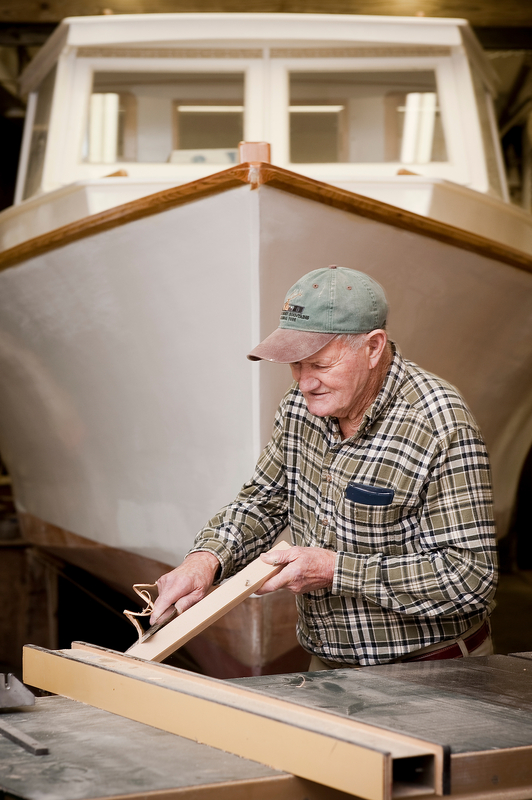 An elderly man working on building a boat. Wood is the traditional boat building material used for hull and spar construction because it is buoyant, widely available, and easily worked. 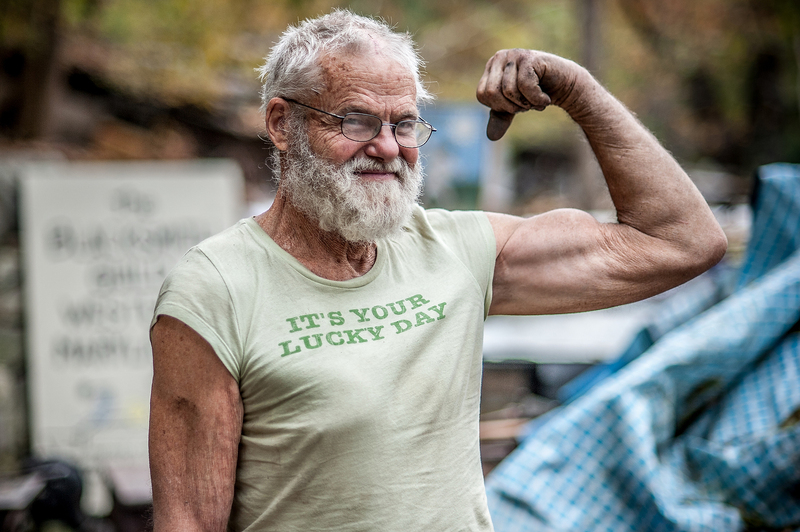 Western Maryland blacksmith Wally Yater flexes a muscle, showing off his shirt reading "It's your lucky day". 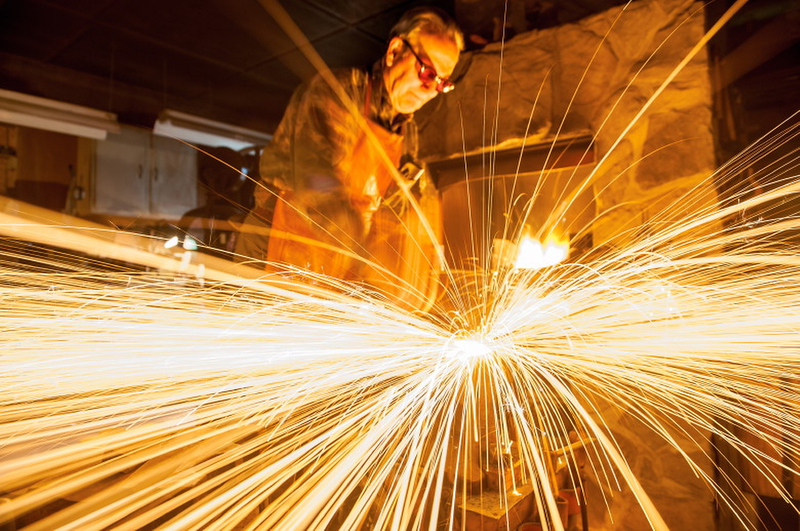 A bladesmith hammers hot steel while making knives in western Maryland. Bladesmithing is an art that is thousands of years old and found in cultures as diverse as China, Japan, India, Germany, Korea, the Middle East, and the British Isles. 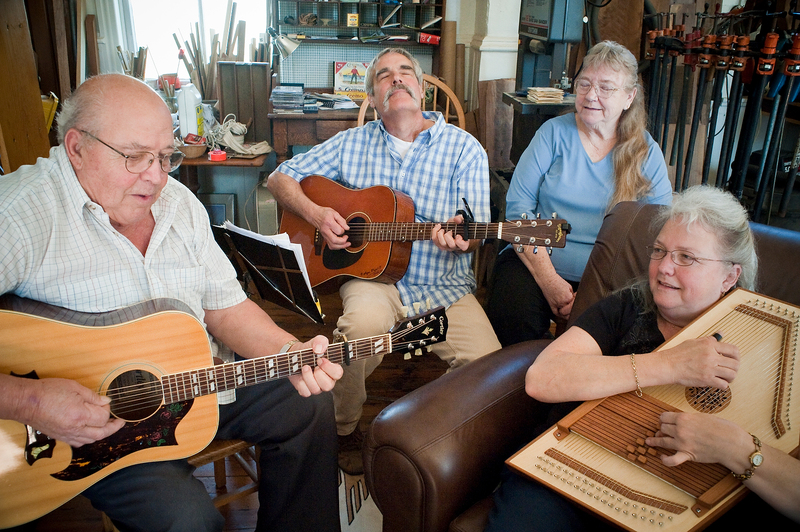 An old time gospel bluegrass band plays traditional music in Cecil County MD. "Bluegrass gospel" has emerged as a subgenre that uses Christian lyrics, soulful three- or four-part sung harmonies, and sometimes the playing of instrumentals. 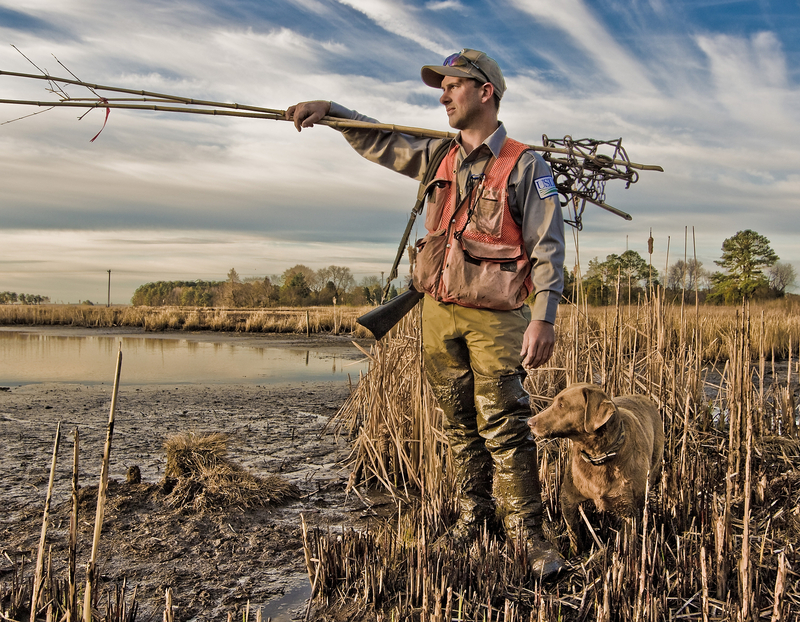 A portrait of a man with his dog, holding equipment used to trap nutria. As a non-native species in Maryland, nutria have negative impacts on our marshes because they feed primarily on marsh plants, creating open water and removing habitats for native species, especially muskrat and waterfowl. 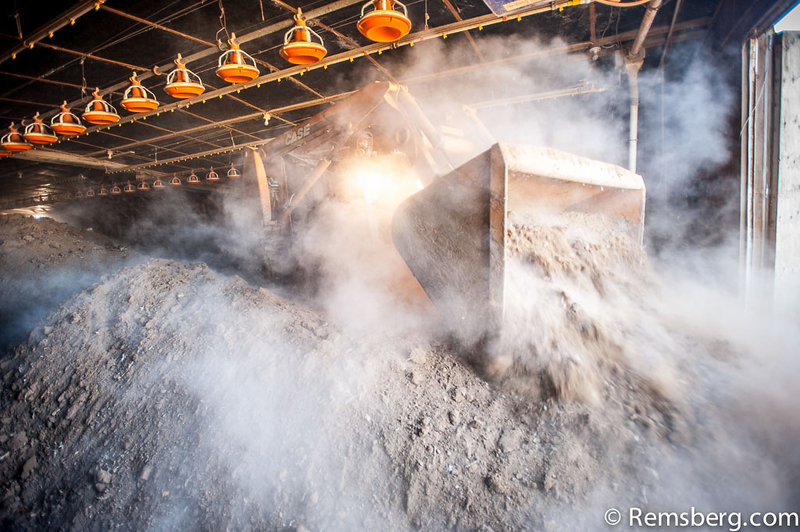 Portraits of the often overlooked people who produce our food. 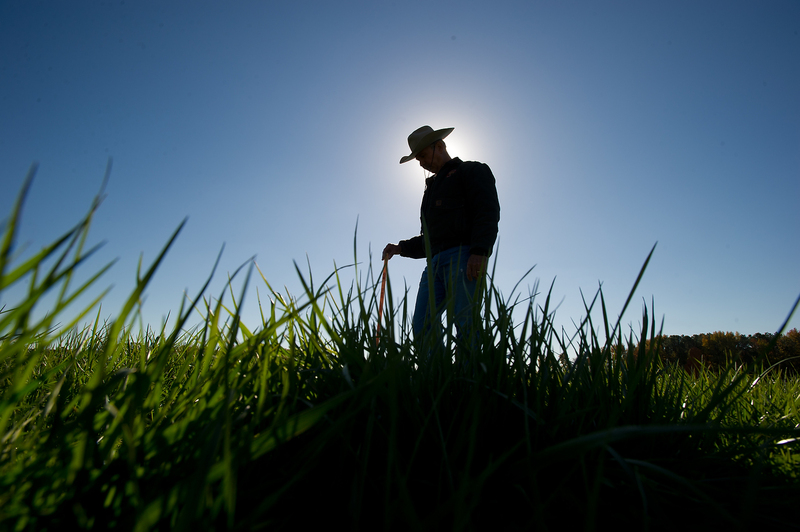 A silhouette of a farmer in a pasture of grass. Farmers have a difficult job- they must balance life’s demands with growing the food, clothing and energy we all depend on. 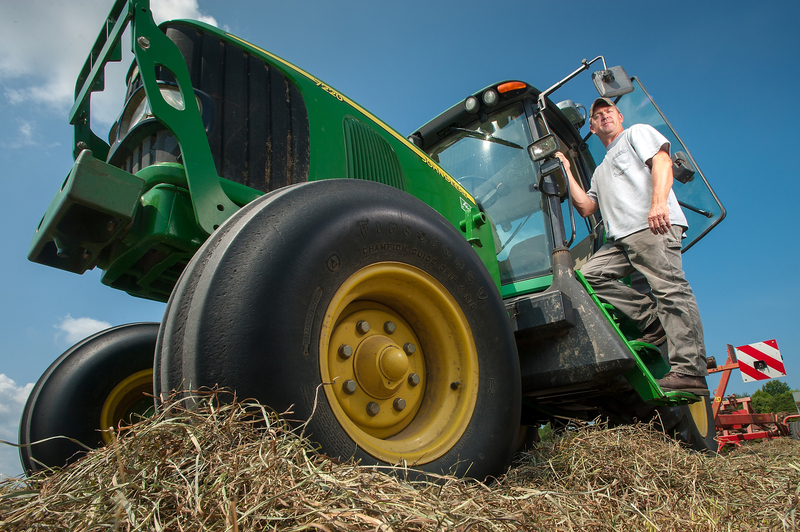 A portrait of a farmer standing next to a John Deere tractor. 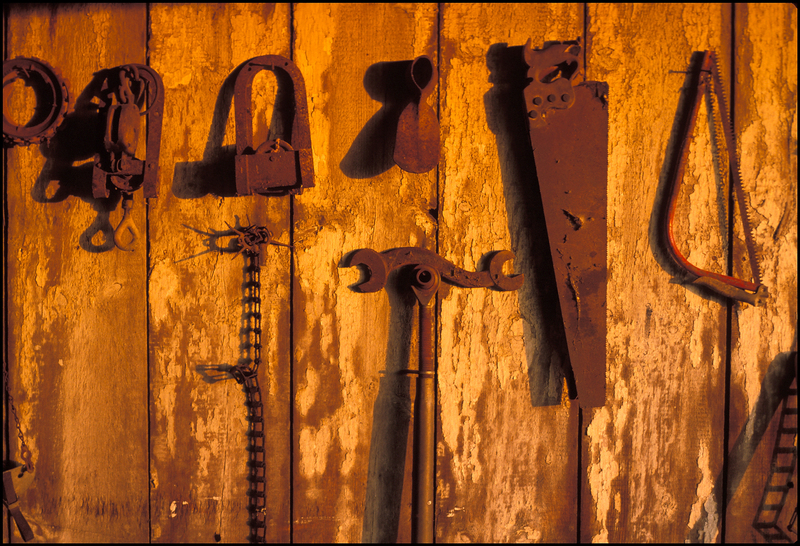 The tools that shape the land also shape the people that use them. 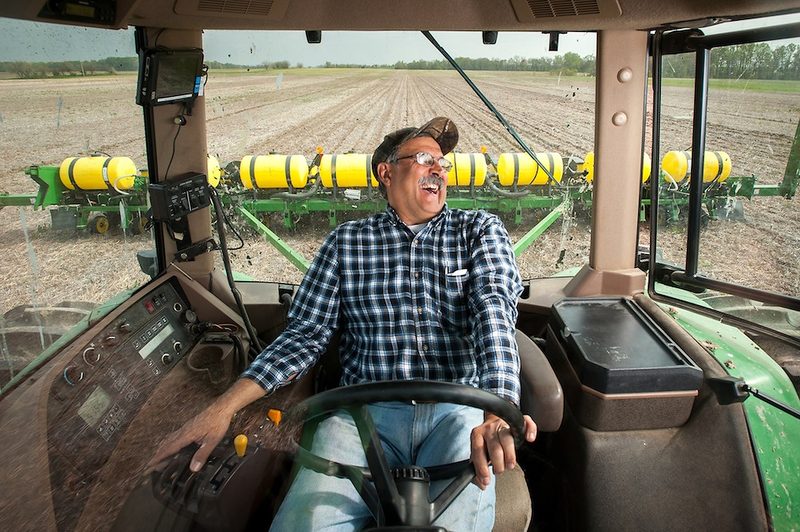 A portrait of a farmer laughing in a tractor while planting corn. With the exception of Antarctica, corn is produced on every continent in the world. 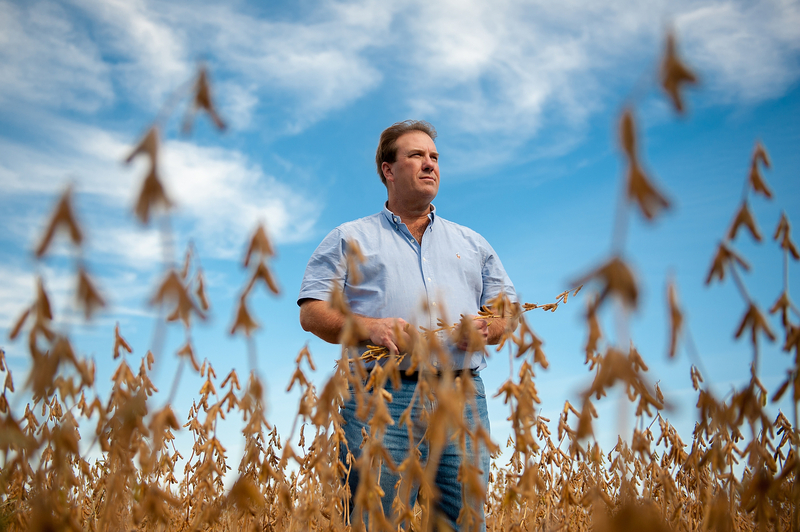 A farmer standing in a field of soybeans. Soybean oil provides an environmentally friendly fuel for diesel engines. 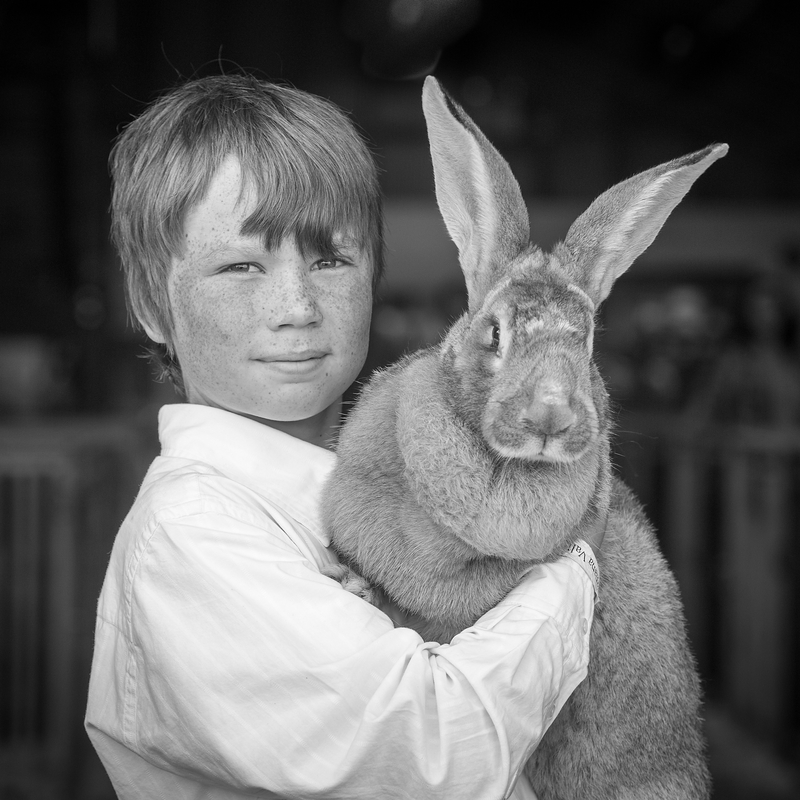 A black and white portrait of a young Alaskan boy with his rabbit, a Flemish giant. Flemish giants are the largest rabbit breed. 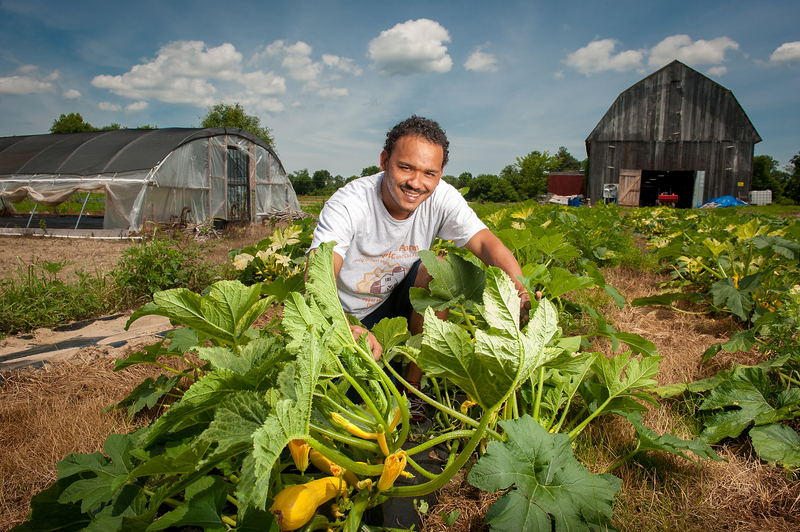 A farmer with a squash plant on his farm. Virtually the entire squash plant is edible. The leaves, tendrils, shoots, stems, flowers, seeds, and fruit can all be eaten. 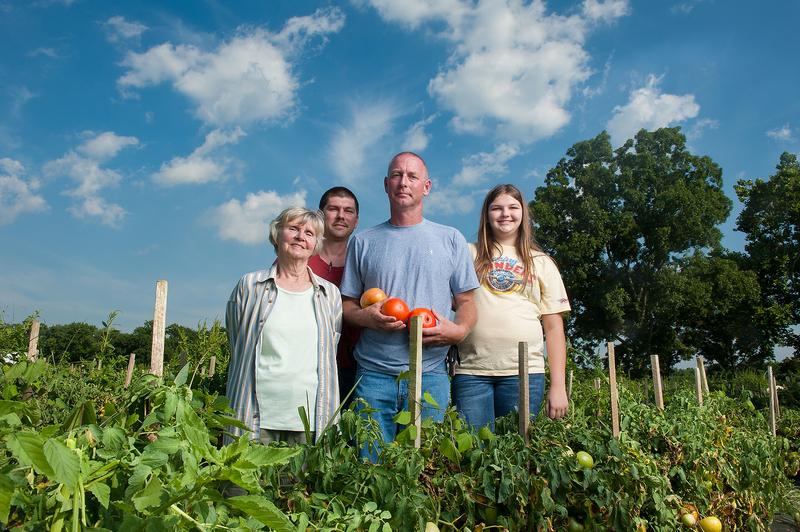 A portrait of a family on their farm in Maryland. 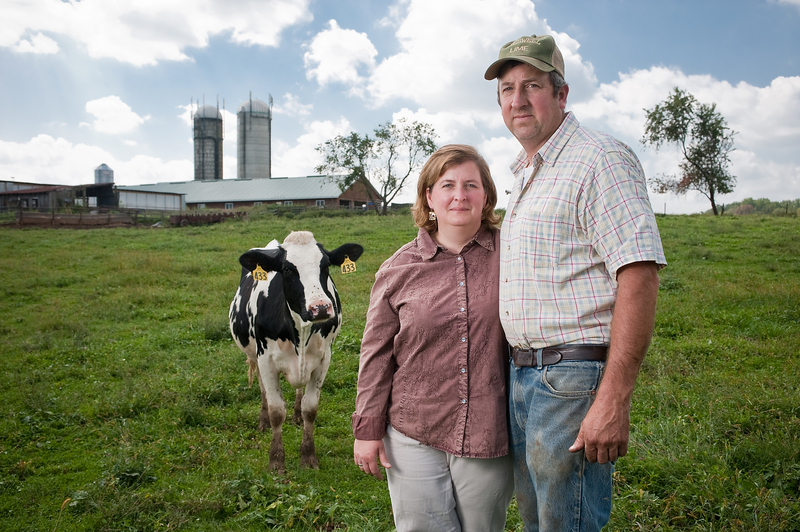 Approximately 97% of U.S. farms are operated by families, family partnerships, or family corporations. 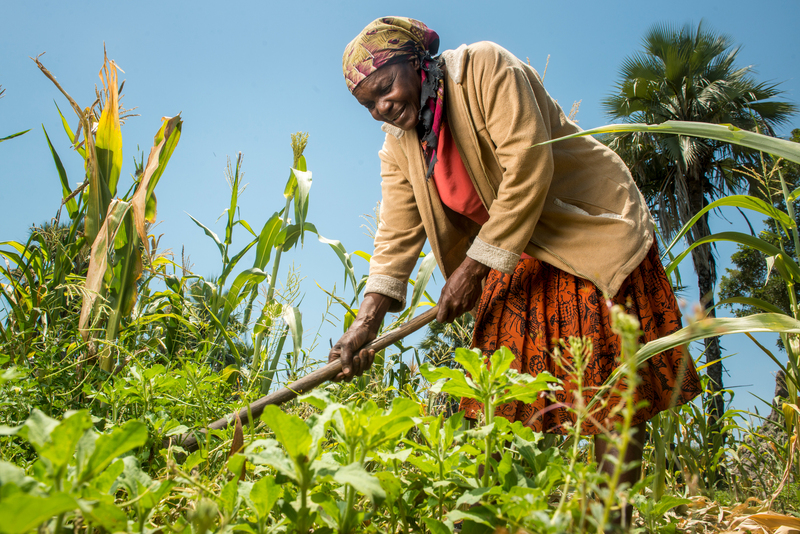 Women farmers in southern Africa produce up to 70% of the regions food supply. 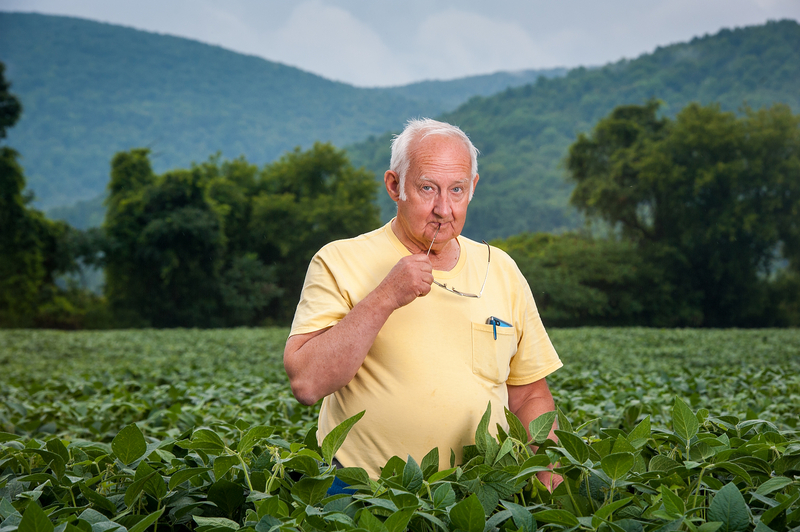 A portrait of a farmer standing in a soybean field. One acre of soybeans can produce 82,368 crayons. 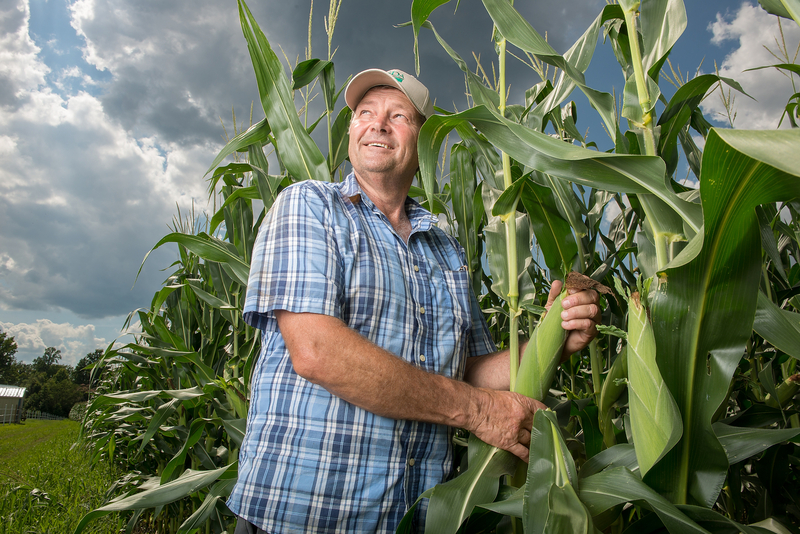 A portrait of a farmer standing in a cornfield holding a husk of corn in Maryland. Federal Crop Insurance programs are an important part of managing risk on farms. The agricultural industry is filled with innovative and newsworthy developments and projects. Having grown up in this industry, I find it important to comment on and share what it is going through; how those involved are succeeding as well as how they are struggling. Many of the processes used to get consumers their products would go unrecorded if there weren’t someone to take an interest in sharing it with the world. Agriculture is incredibly important, and I am in an advantageous position to be a translator between the community of producers and the community of consumers. 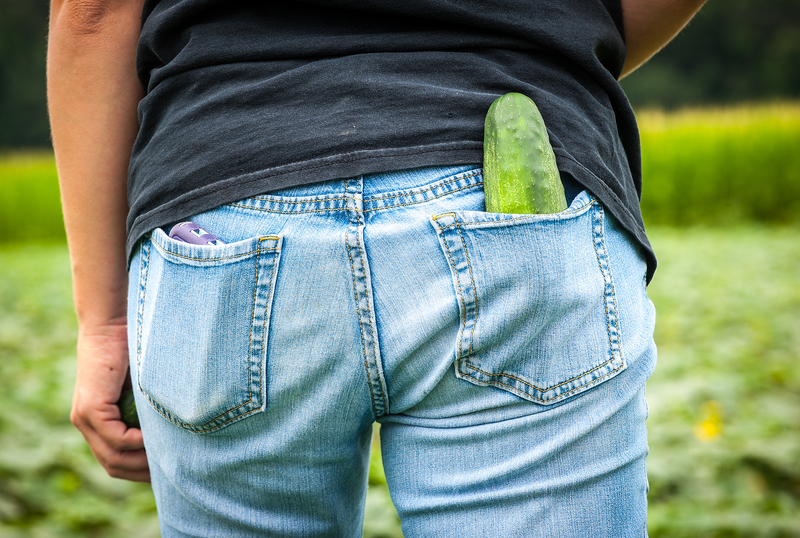 A freshly picked cucumber in the back pocket of a farmer in Maryland. The term “cool as a cucumber” is actually derived from the cucumber’s ability to cool the temperature of the blood. 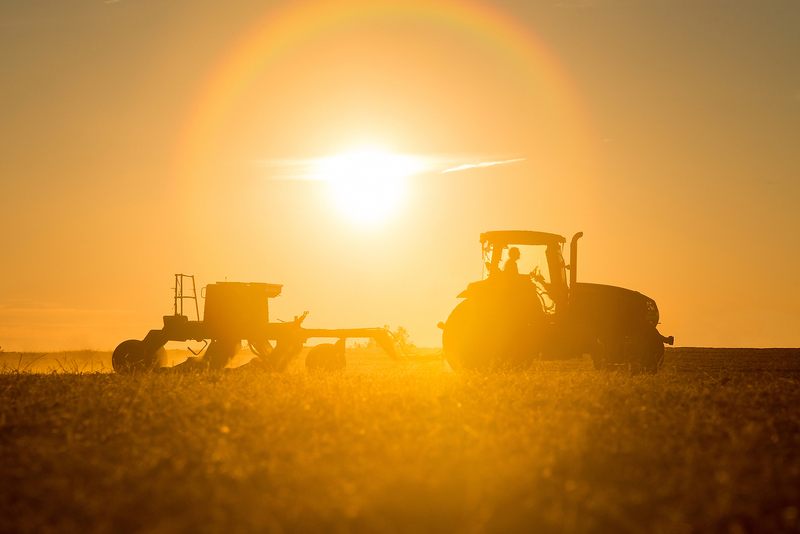 A hazy silhouette of a Maryland farmer driving a tractor while planting cover crops at sunset. Farming employs more than 24 million American workers. A skid steer loader cleaning all of the manure out of a chicken house. Poultry manure is a useful source of nitrogen, the main nutrient that plants need for green leafy growth. 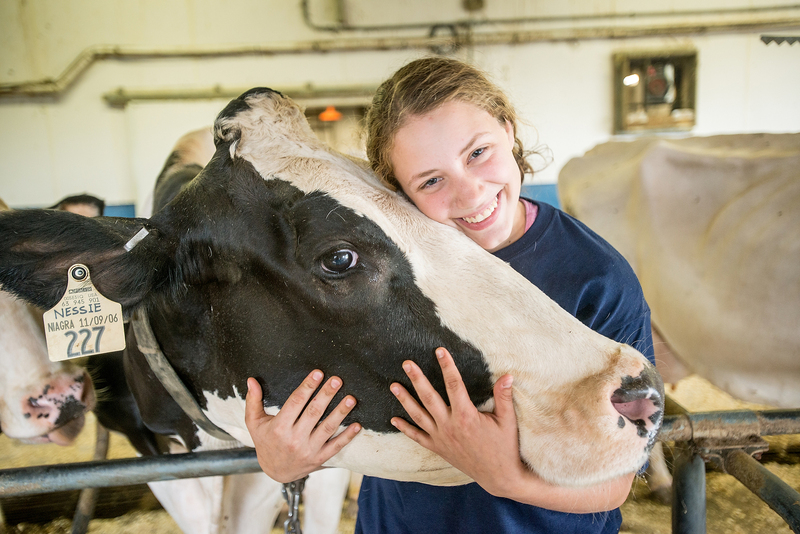 College student holding a research dairy cow in a University herd. 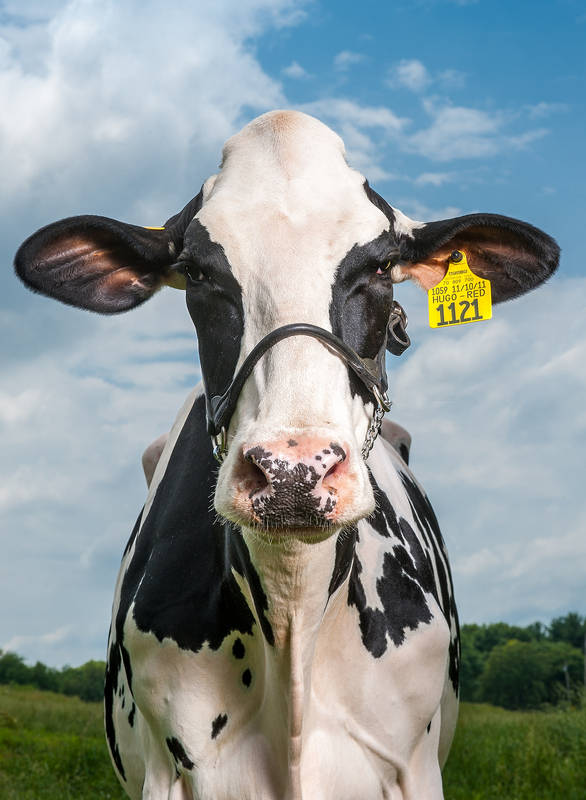 A dairy cow can produce 125 lbs. of saliva a day. A combine harvesting wheat on the Eastern Shore of Maryland. 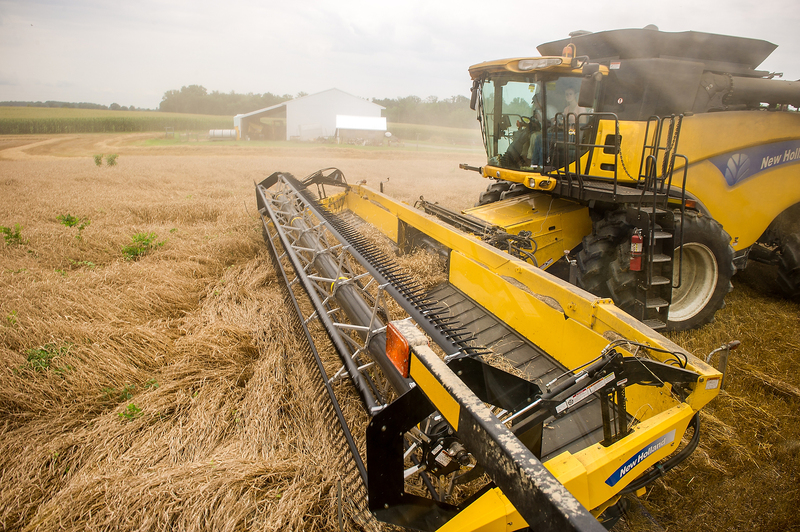 The combine harvester performs the processes of reaping, threshing, and cleaning. 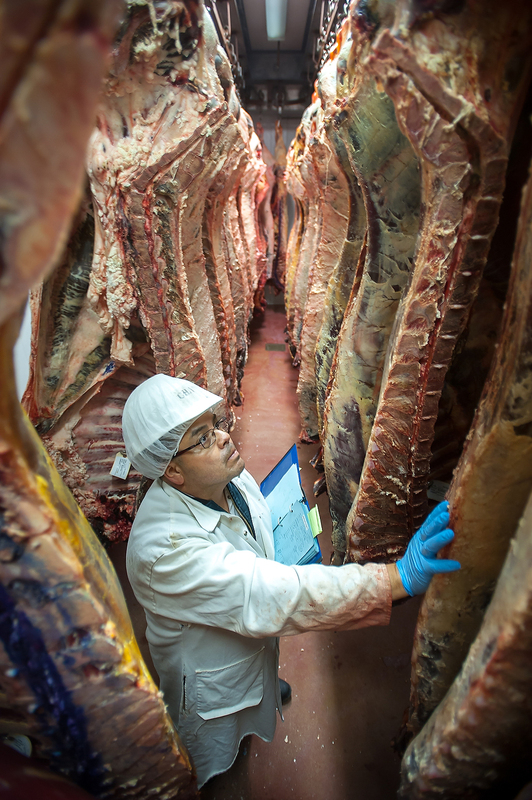 A worker examines sides of beef aging in a commercial meat processing plant. Aging has the greatest effect on meat between 14 and 28 days. 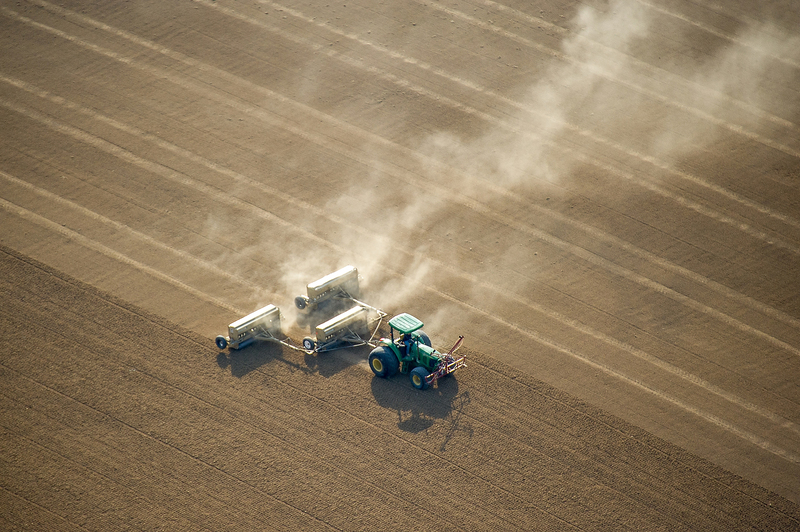 Aerial view of a seed drill used to plant small grains. The seed drill was invented by Jethro Tull in 1701. 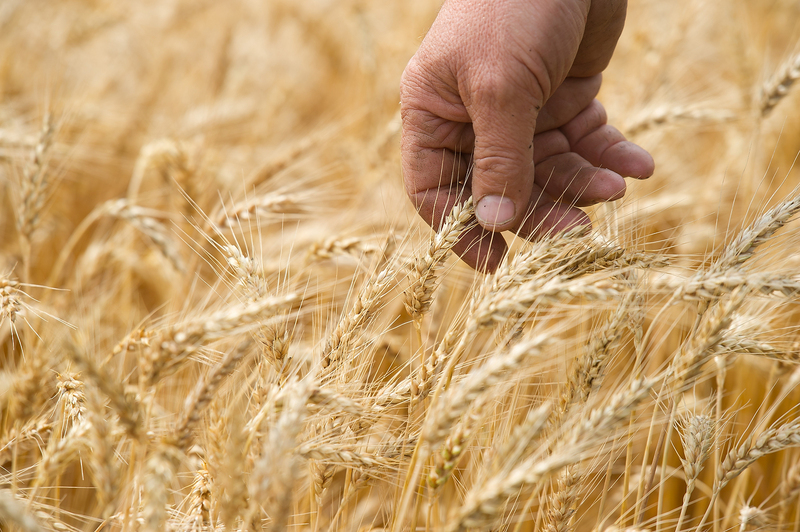 A farmer's hand feels ripening heads of wheat in a late season field. A family of four could live for 10 years off of the bread produced by one acre of wheat. A sample Community Supported Agriculture share from an organic farm on the Eastern Shore of Maryland. 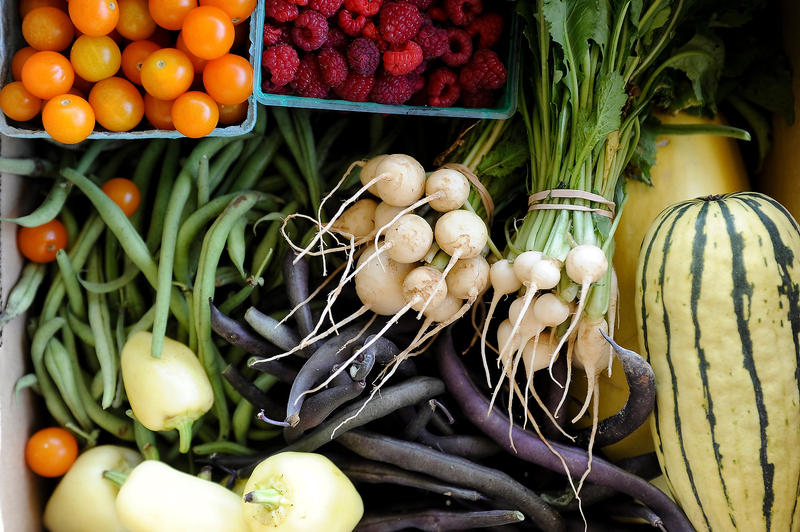 CSA is an alternative, locally based economic model of agriculture and food distribution. The luxury of time is hard to acquire with a print unattributed to a space or shown without context. Galleries allow for a pause in the rapid consumption of imagery. It’s a safe space for art to exist as it is intended. In another context, without the walls of the gallery and an audience willing to give it a chance to exist, the piece would not hold up. These images are created to affect the audience as much as they are to stimulate or bewilder. They equally partner the process and craft behind photography with content and delivery. The print as it hangs in a gallery space is a physical object; a separate thing existing with the advantage of time, and it is this experience that separates the process for me. With these luxuries I am free to explore the process of photography and the nature of aesthetic imagery. In this process I can engage in photography as an end in itself rather than a medium used to tell a story; it is the techniques in their purest form, the roots of the craft. 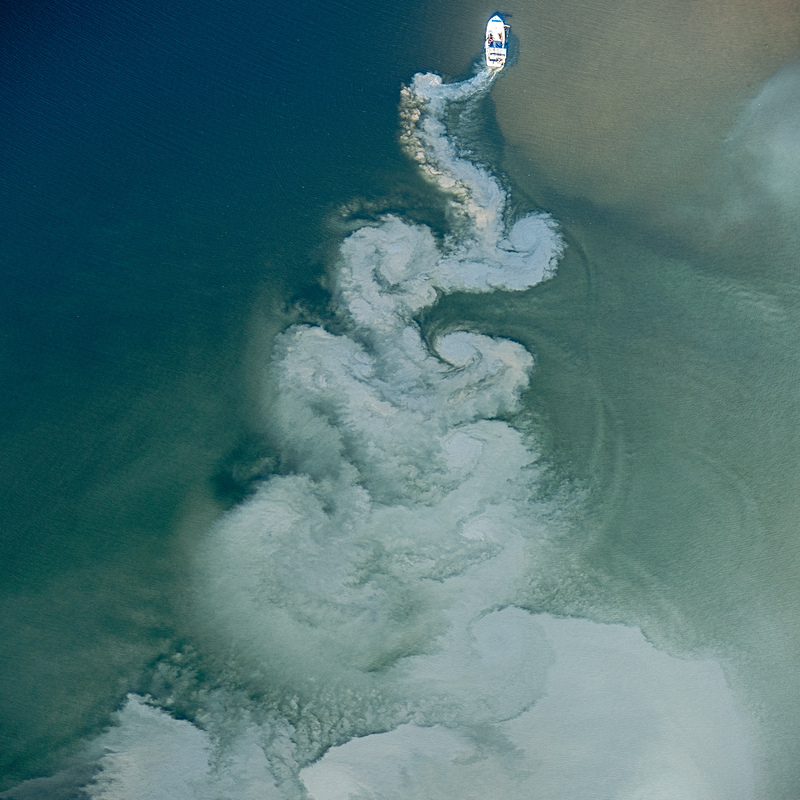 From a series of aerial images of sediment distributions and turbidity in the Chesapeake Bay, focusing on the abstracted beauty of the pollution facing the estuary. 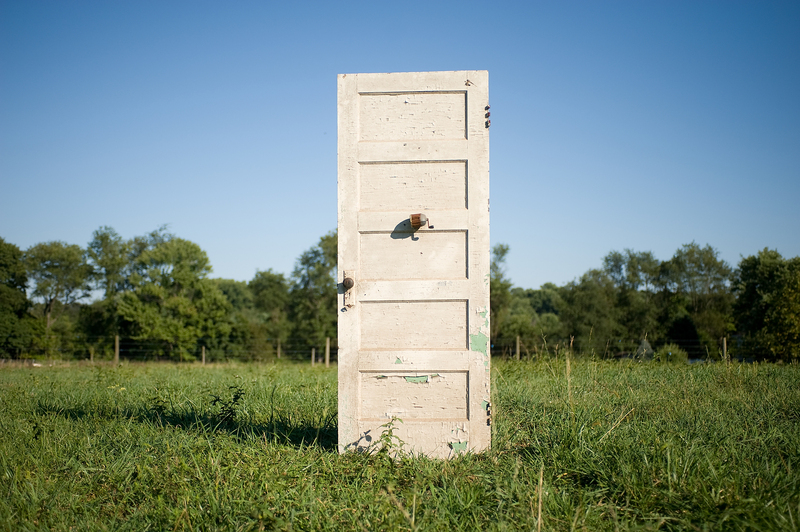 A multi-disciplinary project that involved installing free standing doors in farm fields and photographing the installations over time as they are acted upon by the environment. Photographs of the family farm I grew up on, taken to illustrate my grandfathers diary entries from 1916-1980. This project was both a personal history and a journey of exploration of light and color and how they can reimagine familiar spaces. 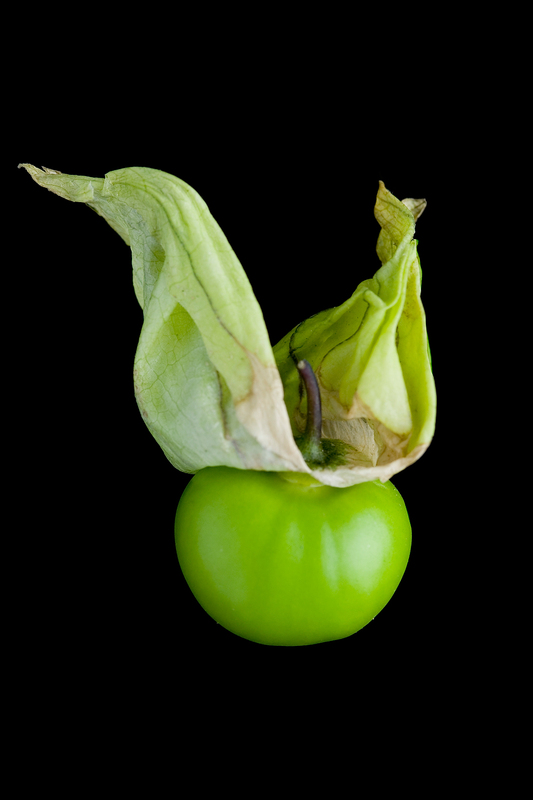 A Mexican tomatillo. From a series of food portraits featuring ethic vegetables being grown in the mid atlantic. Photographs of urban nightlife taken in near darkness with antique lenses. Here the weakest and most insignificant light sources have become the light of the world. 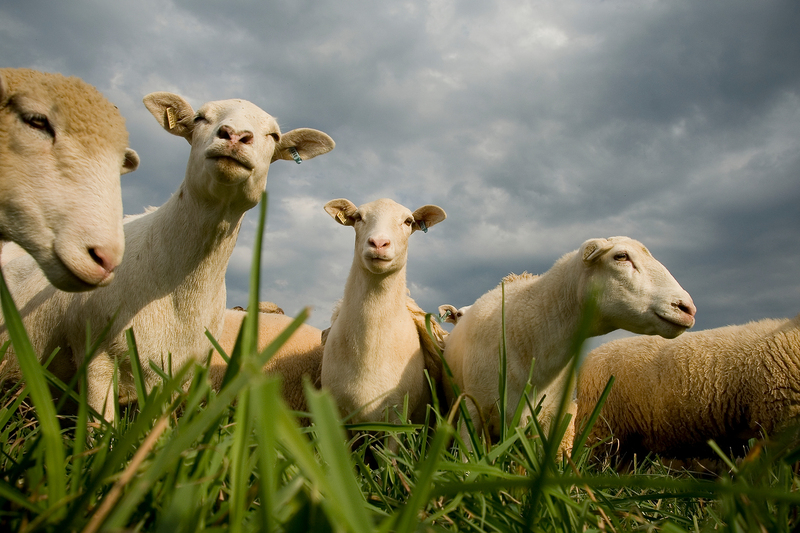 Hair sheep grazing on pasture; from "The Georgic Odyssey", an expansive look at agriculture and food systems in the United States produced for the USDA. 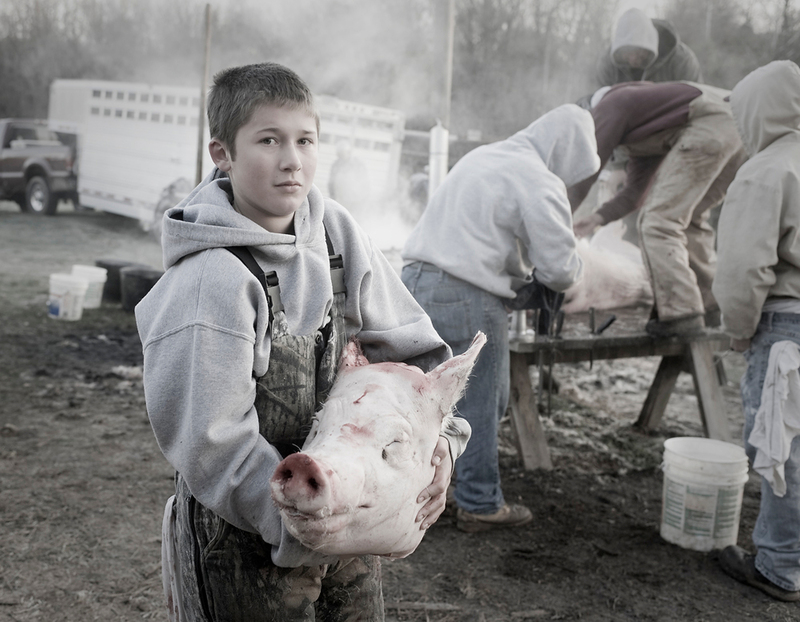 A young boy holds a pig head during a family hog butchering. From an ongoing series examining the dependent relationships between humans and animals, in particular the thread that connects us with food animals. Life-size images made by constructing a large glass overhead stage on which the subjects were laid on and photographed from below. Each archival pigment print is mounted against plexiglass to simulate the effect of the subject as specimen within a glass case or microscope slide. These pieces are exploring the concept of objectification and the viewer's experience of the image in physical space. Life-size images made by constructing a large glass overhead stage on which the subjects were laid on and were photographed from below. Each archival pigment print is mounted against plexiglass to simulate the effect of the subject as specimen within a glass case or microscope slide. These pieces are exploring the concept of objectification and the viewer's experience of the image in physical space. I take images in the hopes that they will cast a shadow through history, that they will be remembered or retold. Books are some of the oldest and most lasting forms of human documentation; books leave a mark. While gallery walls get taken down and prints fade or are lost, a book is one cohesive body of work that stays together, intact and able to be viewed the way the creator meant it to be over and over. This is some of the most important work that I do. I have illustrated eight published books with my imagery. By partnering with text in this way I am able to reach a much wider and more diverse audience than I can access with my photographs alone. I am a storyteller, and with this medium I can tell the whole story, and celebrate the moments I am representing fully and entirely. 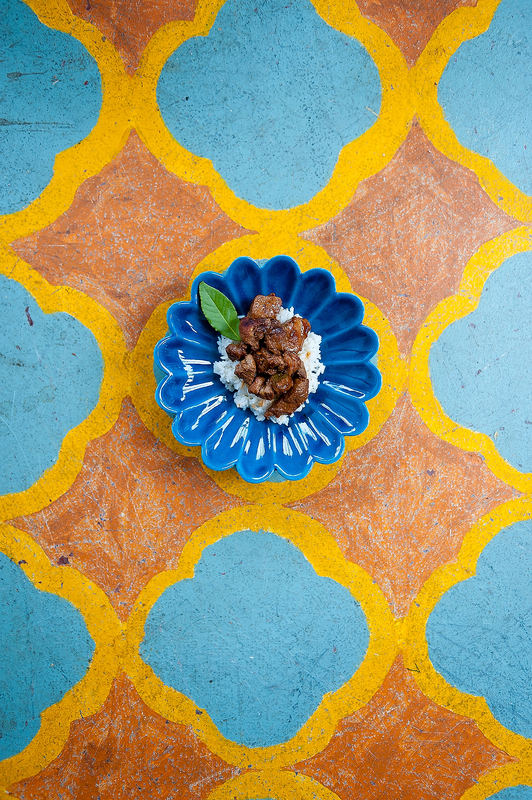 A colorful pork abado. Cookbook illustration from "Dishing up Virginia", Storey Press. 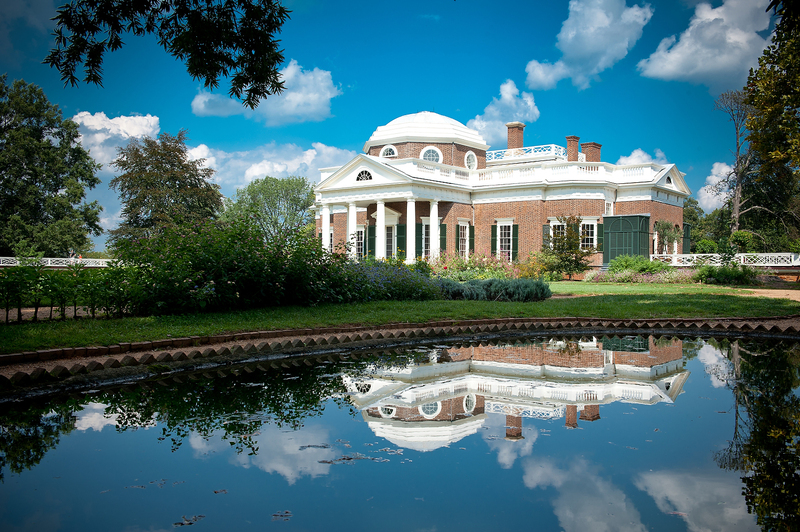 Thomas Jefferson's Monticello. From "Dishing up Virginia", Storey Press. 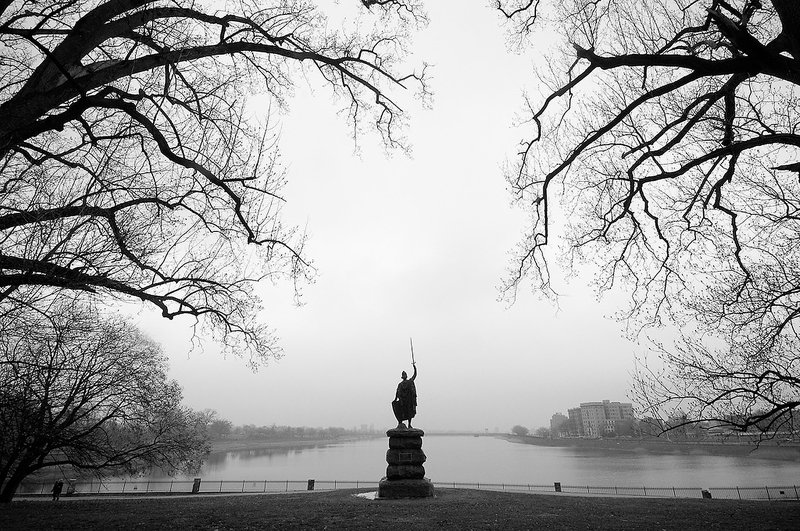 The Wallace statue keeps watch over the lake at Druid Hill Park. From "Outdoor Sculpture in Baltimore", Johns Hopkins University Press. 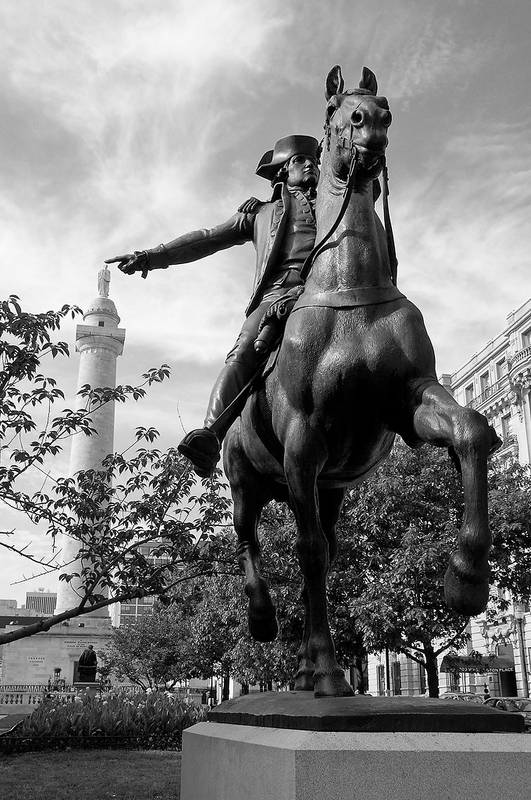 The statue of John Eager Howard rests a finger on the Washington Monument. The monument sits on land that was once part of Howard's estate. From "Outdoor Sculpture in Baltimore", Johns Hopkins University Press. 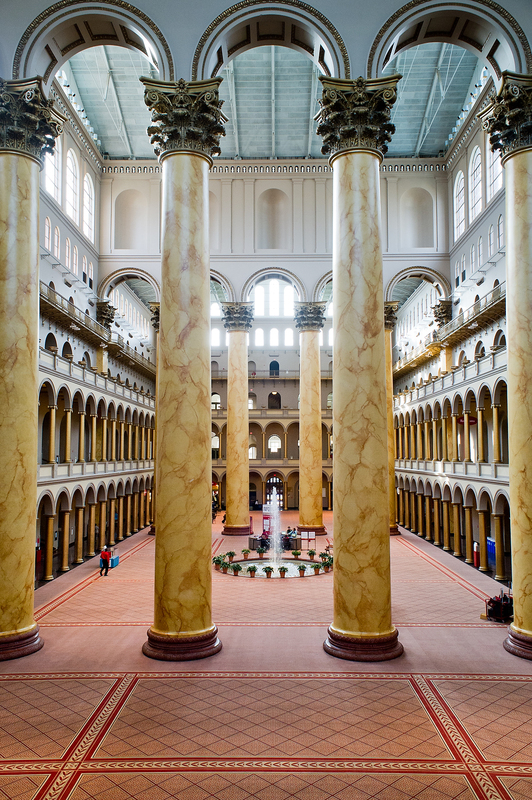 The National Building Museum began life as the Pension Building, used for administering veteran's benefits after the Civil War. From "Testament to Union, Civil War Sculpture in Washington DC", John Hopkins Press. 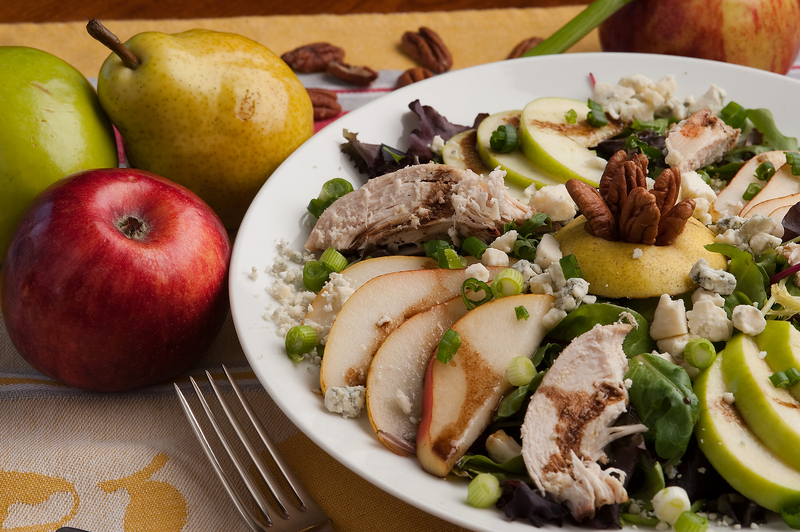 Apple and pear salad. Cookbook illustration from "Dishing up Maryland", Storey Press. 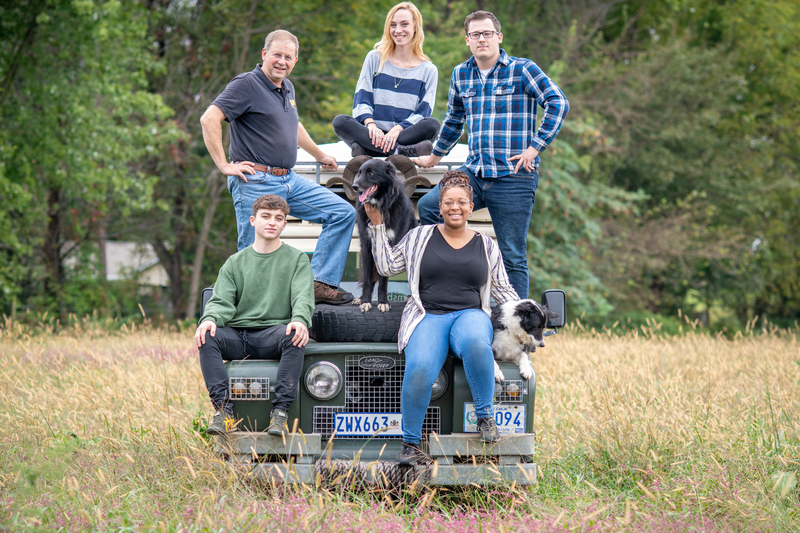 Kate and David Dallam produce local cheese and ice cream on their dairy farm in Harford County, Maryland. 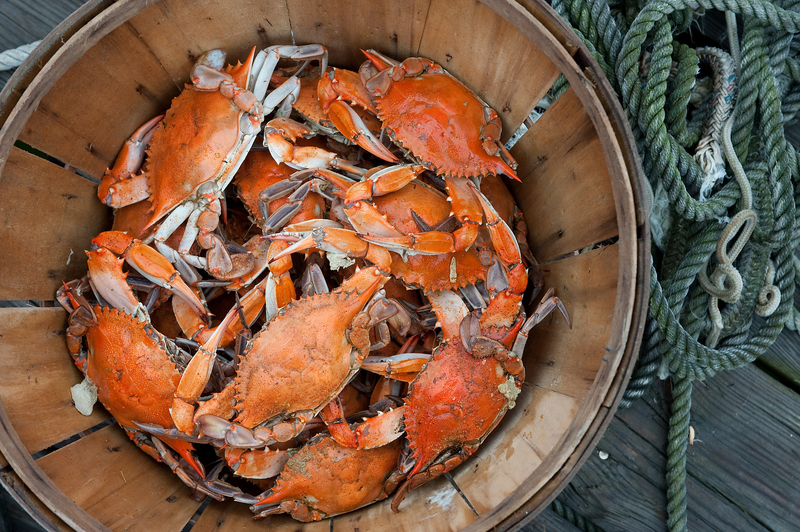 From "Dishing up Maryland", Storey Press. Legacy is an interesting concept as a photographer, maybe its that my ego is too large for just one career, but more likely there is an uncorruptable sense of accomplishment in sharing the knowledge I have accumulated with the ones willing to listen. In that way, part of my theory or technique can live on long after I'm gone. It is a large part of my business to reach out and be a part of something outside of my own success. My success becomes our success in the team we have built at Remsberg Inc. My experience becomes the lessons of others in the contests I judge and for the interns that I take on. And simply put, the sense of community and encouragement we can give to one and other by reaching out and celebrating the work being done is remarkable. A video of an interview with Trudy Slinger, a Maryland creative. Trudy started out with processing film in the 80s, and as she saw the increasing use of digital cameras, she knew she had to learn how to process digital photo files. This interview shows her transition from the darkroom to Lightroom, and how she has been able to keep her love of creating new things in her everyday life. Being engaged with the vibrant local community of artists allow for inspiring collaborations and a sharing of creativity across disciplines that enriches us all. I have had the opportunity to collaborate on projects with Sculptors, Painters, Dancers, and Musicians and each one has helped me grow as an artist . Video about arts careers for Middle School students. Here I'm interviewed about my photography business and how I have become successful doing what I love. 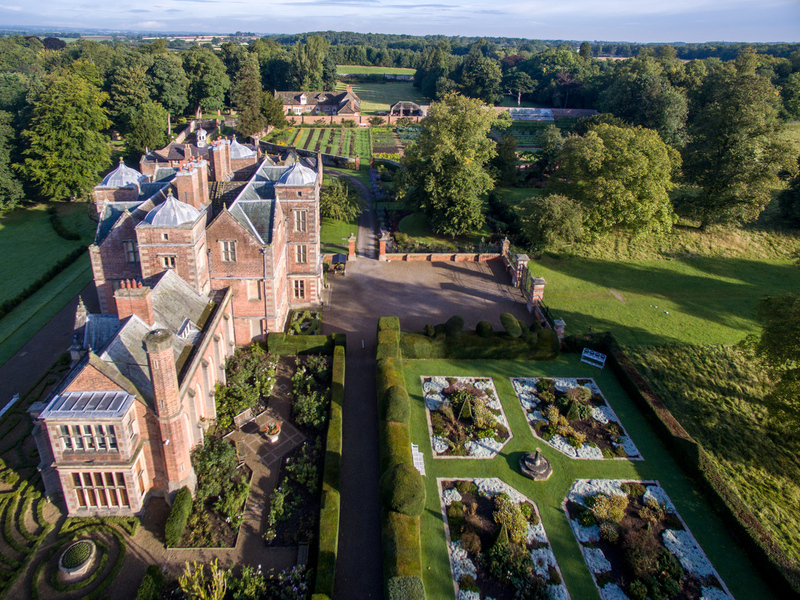 Travel photography workshop run out of historic Kiplin Hall in Yorkshire. This experience allows us to be not just teaching the craft but also sharing the world and the benefits of travel with others. 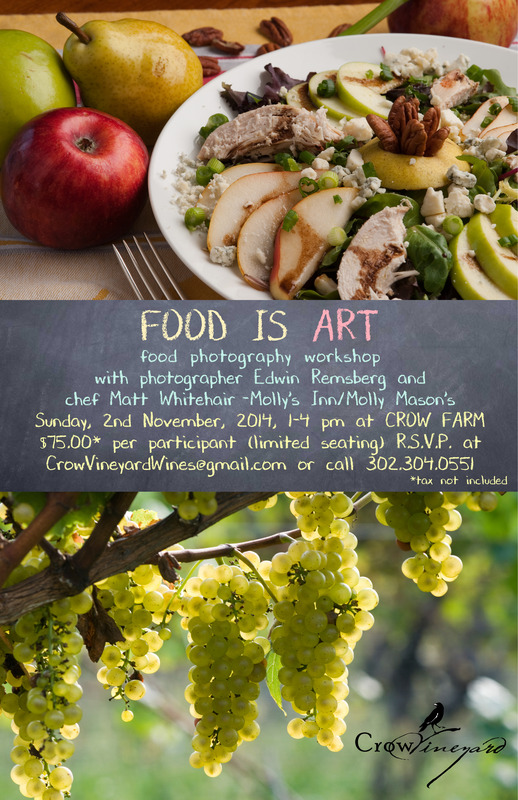 A promotion using photos and words to announce an upcoming food photography workshop. A multimedia piece combining photos and music to recap the Remsberg Travel Hag Workshop. This piece can be used as a recap and a promotion for the workshop. 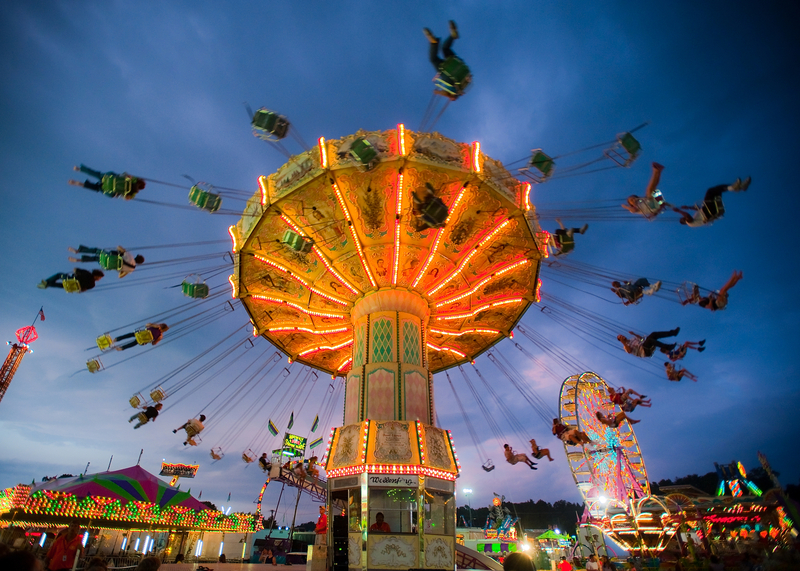 I developed and oversee a photography contest for kids 8-18 at the Maryland State Fair. 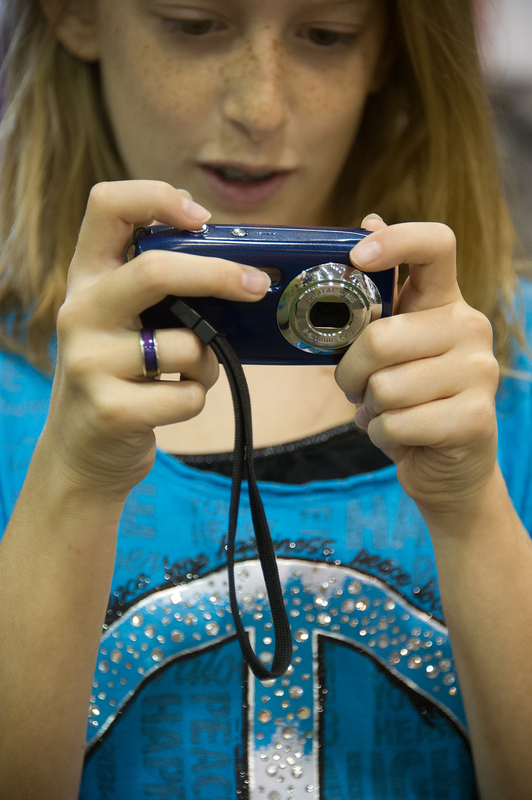 Each year an average of 60 participants are given cheap digital cameras and let loose on the fairgrounds to capture the event. At the end of the day their work is critiqued and judged, and prizes are awarded. In the 15 years I that have run the contest, it has proved to be one of the most popular 4-H programs at the fair and has been imitated at other state and county fairs. A multimedia piece including music and photos to show the world what it is like to be an intern at Remsberg Inc. I began my career as a child by entering fairs and contest and finding encouragement in the results. Today I give back by being a photography judge at those events and others and teaching at judging schools to train others to do the same. I strive for excellence not only in my own work, but in the work of the whole photographic community, and take pride in being part of a strong vibrant feedback loop that lifts everyone.